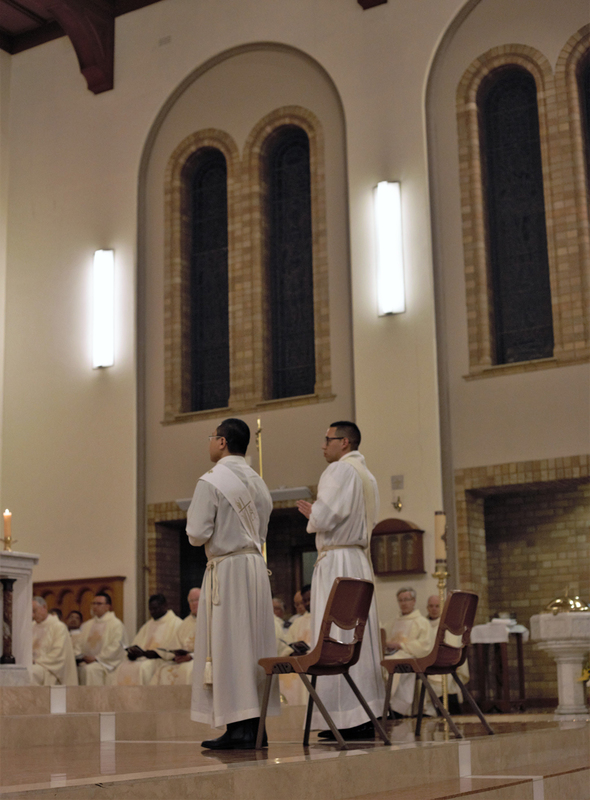 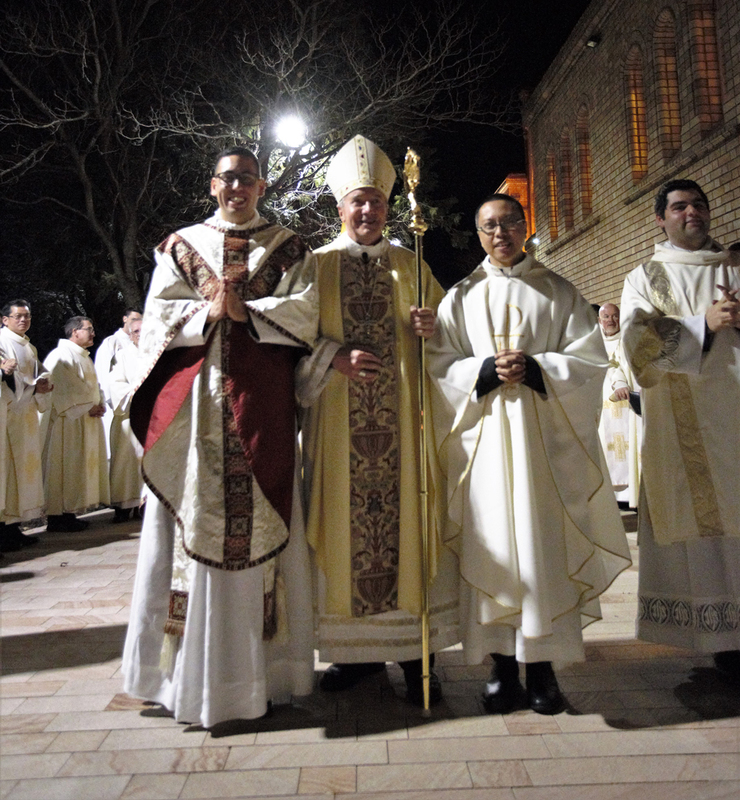 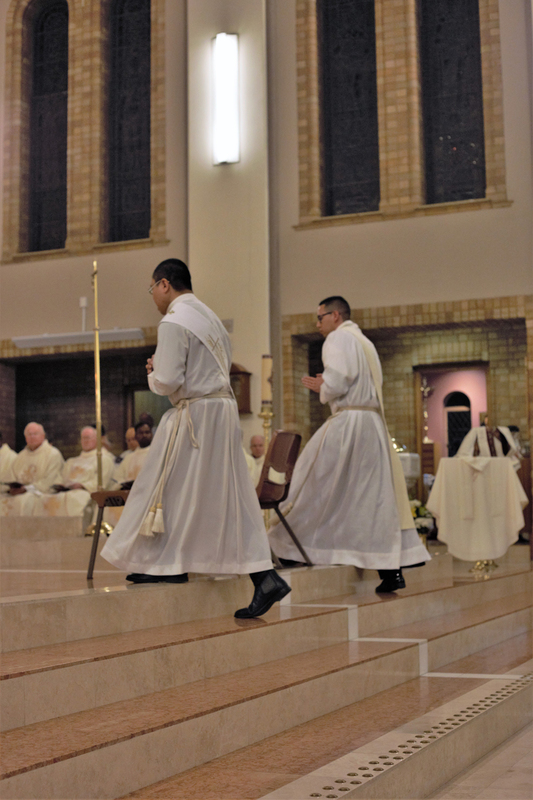 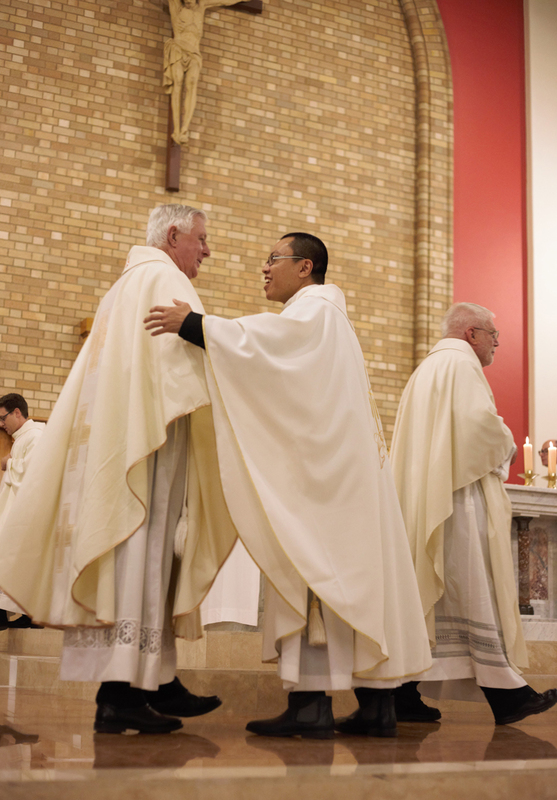 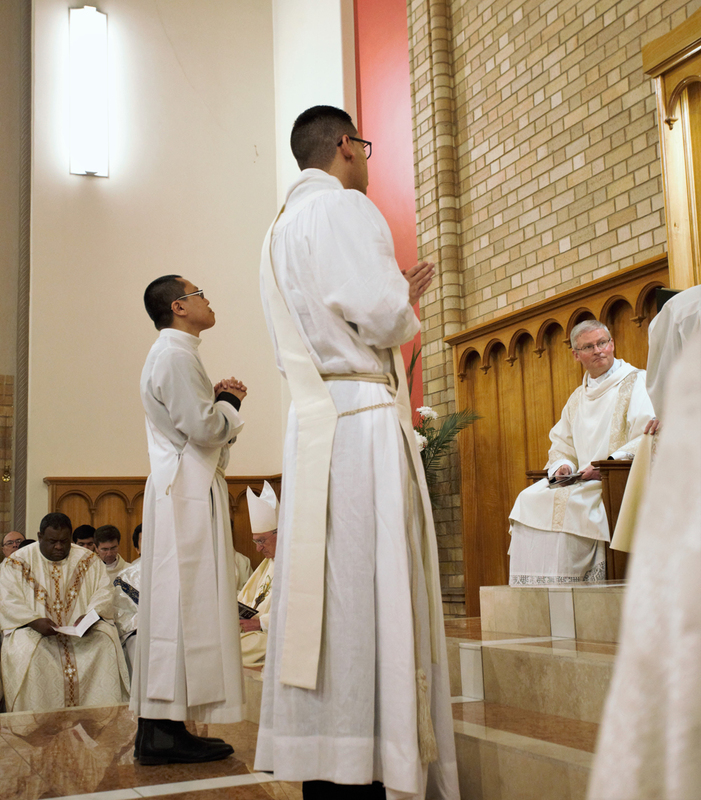 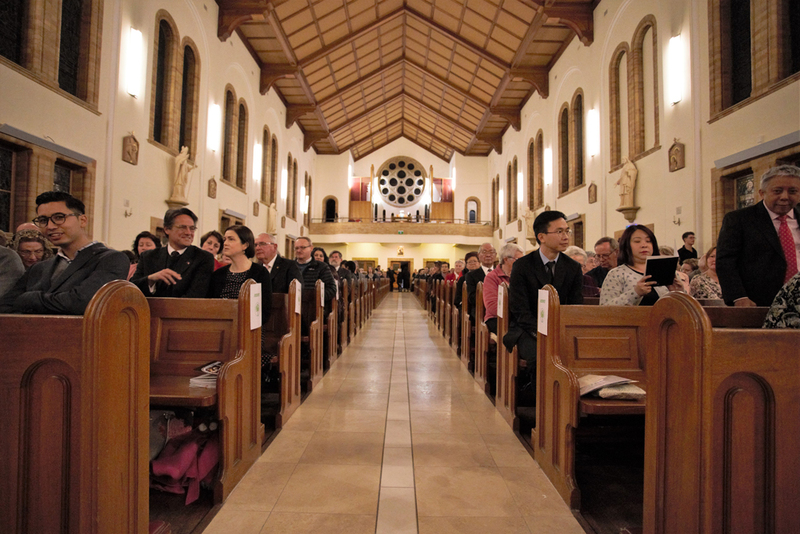 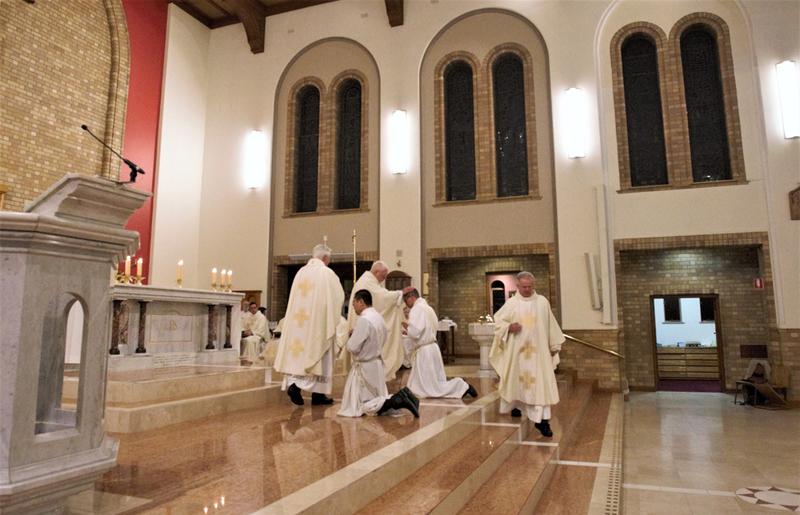 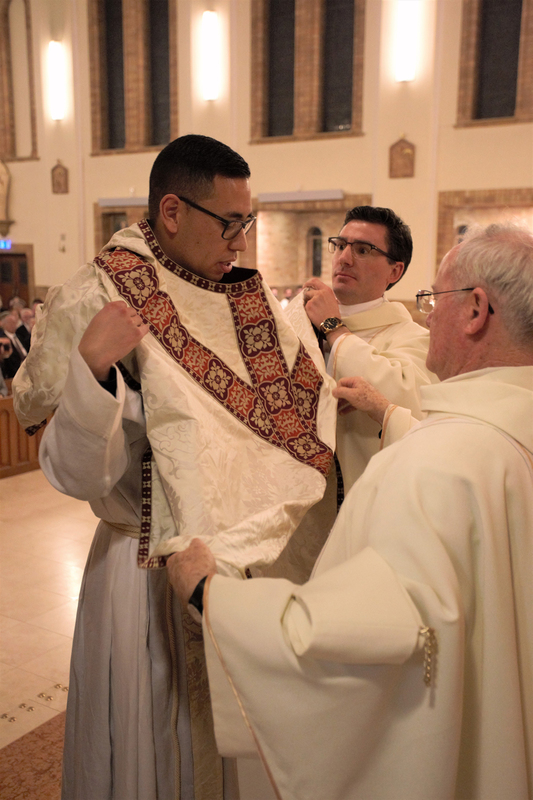 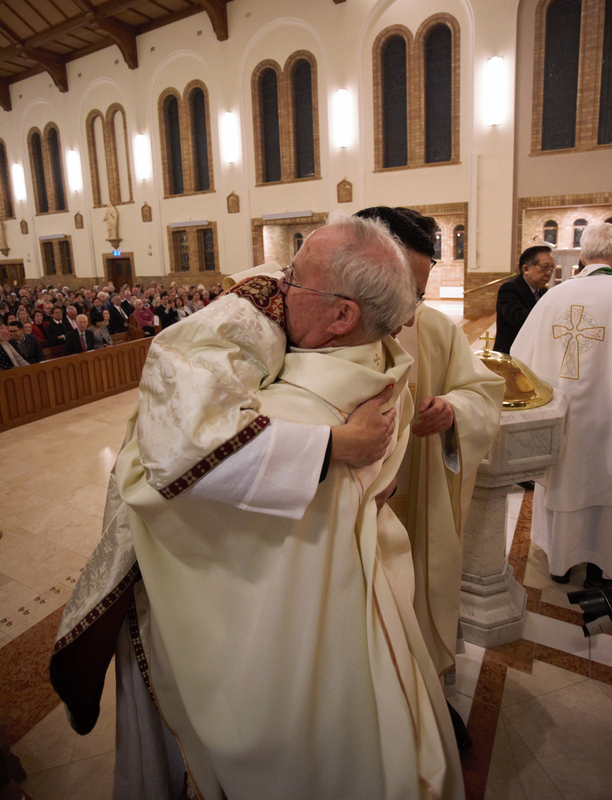 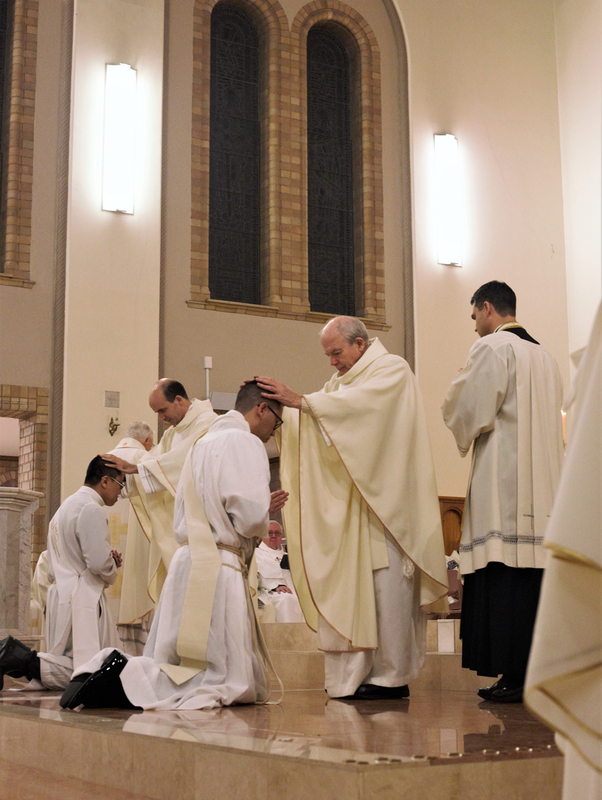 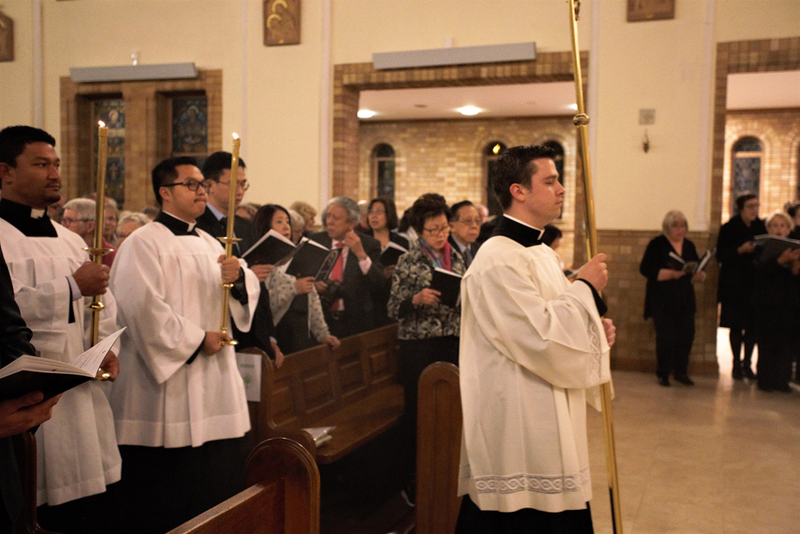 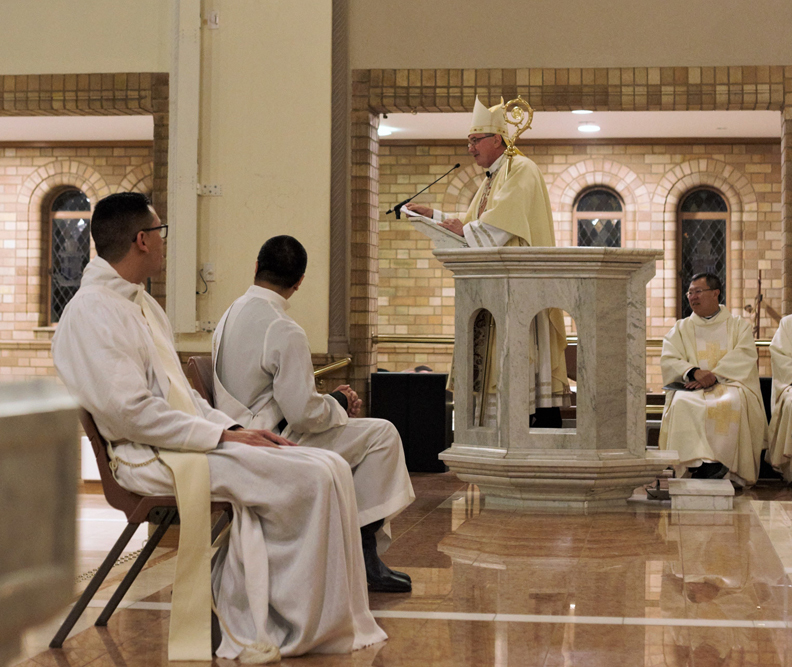 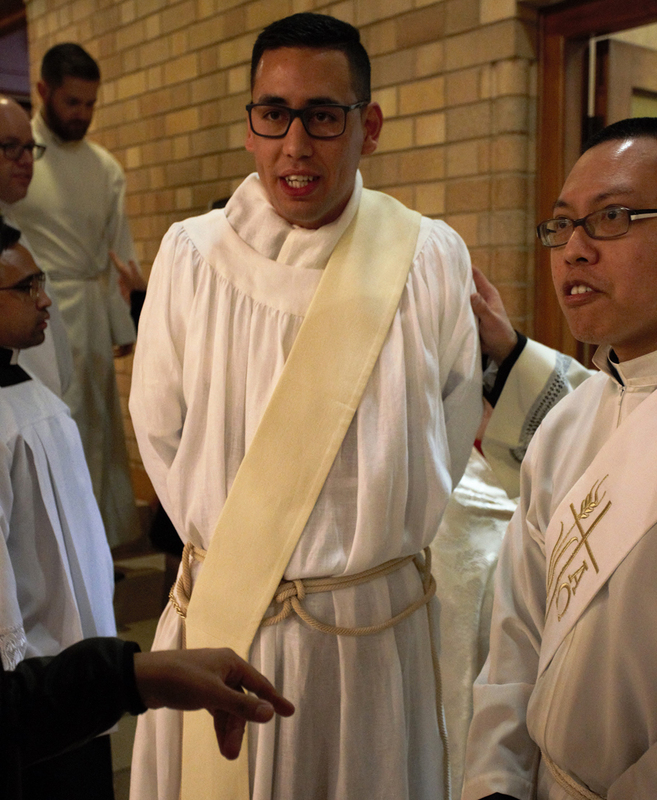 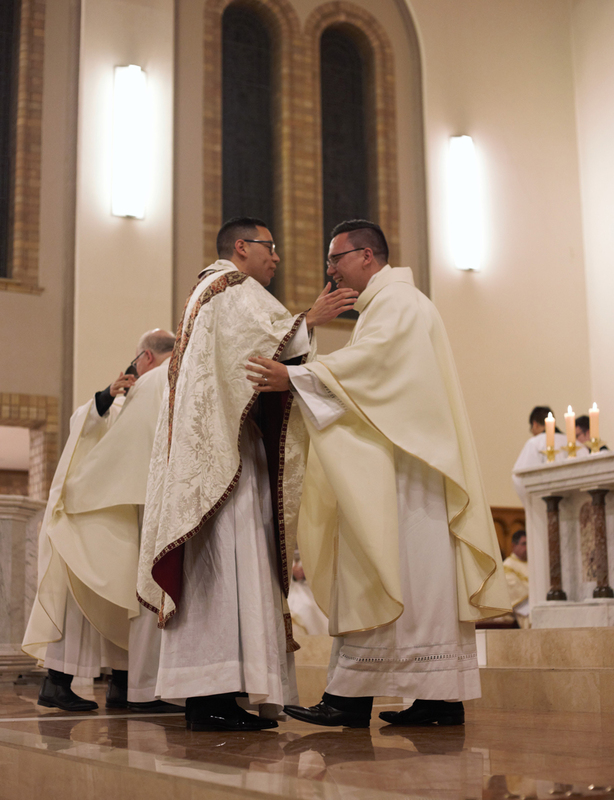 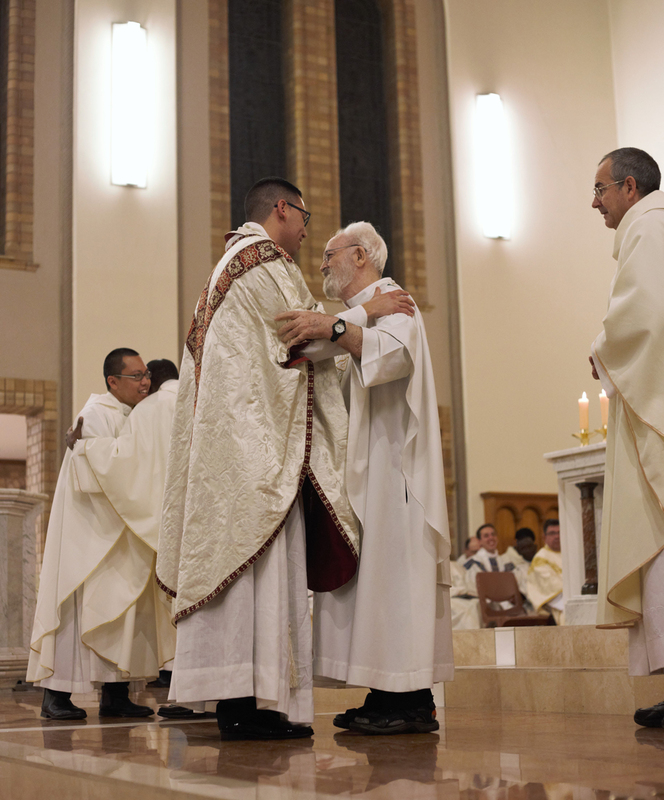 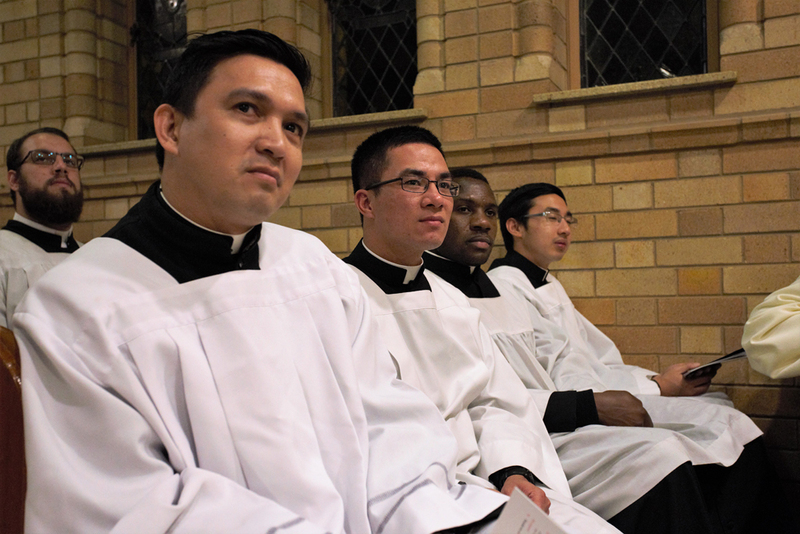 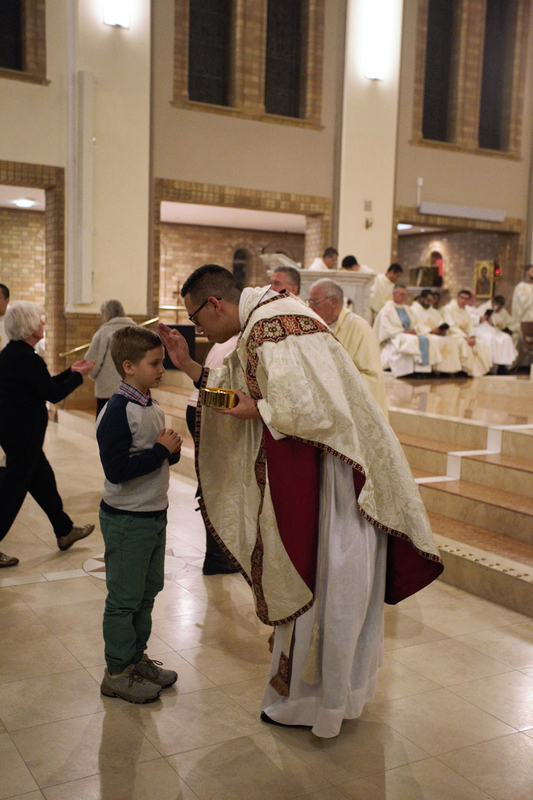 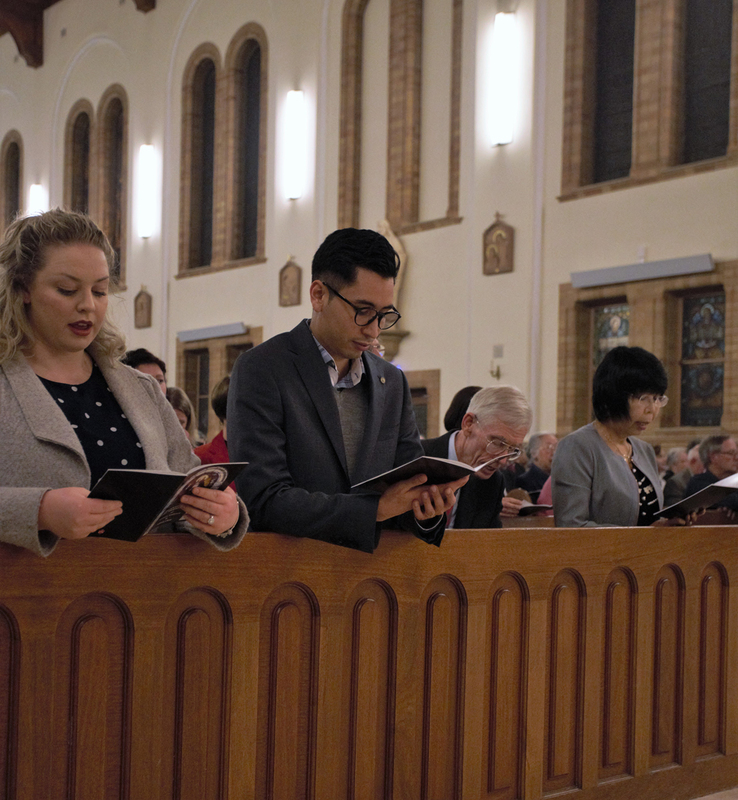 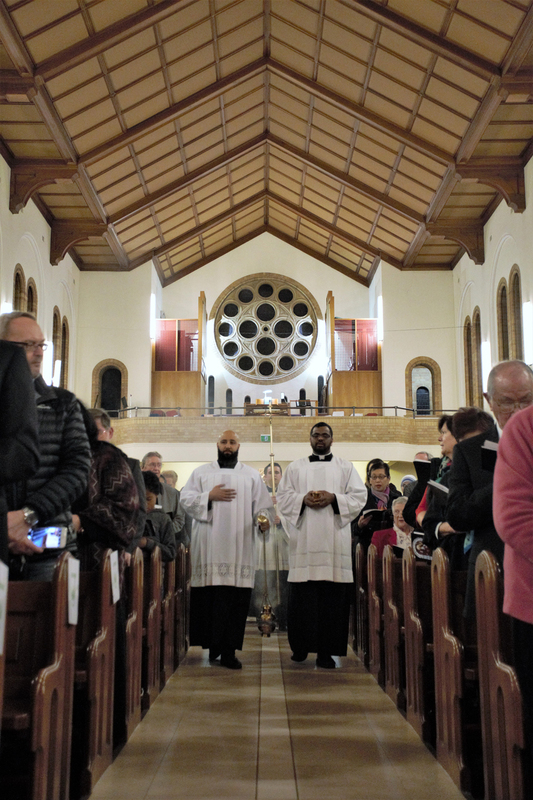 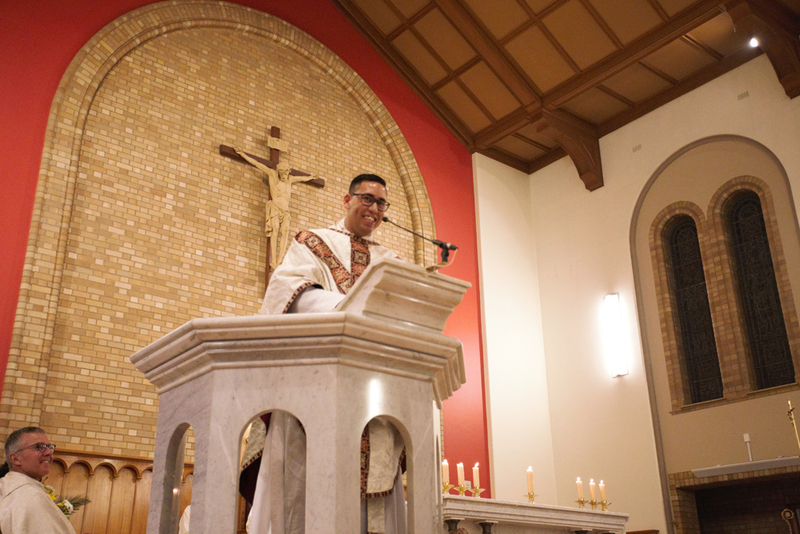 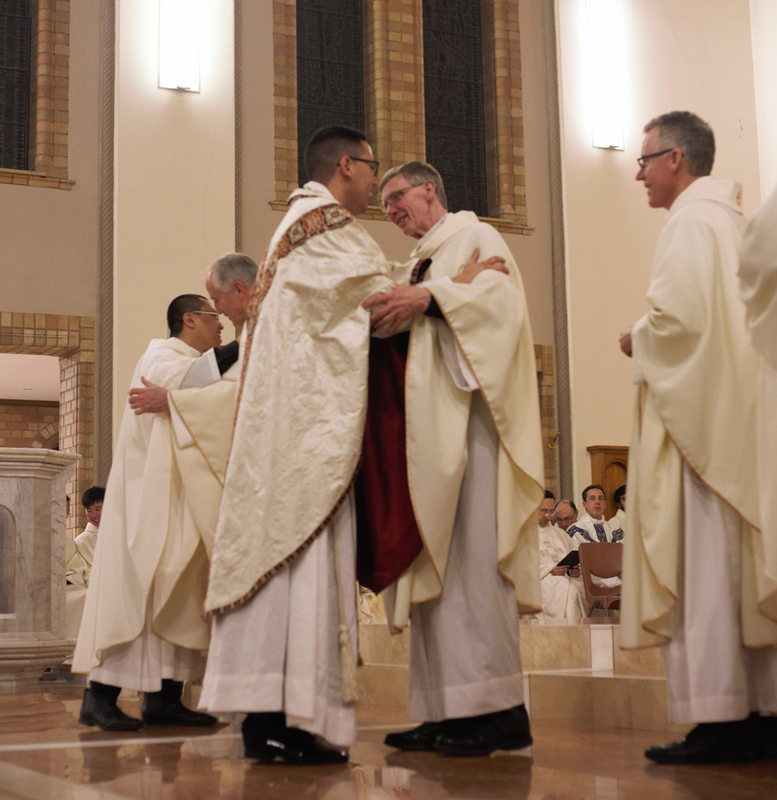 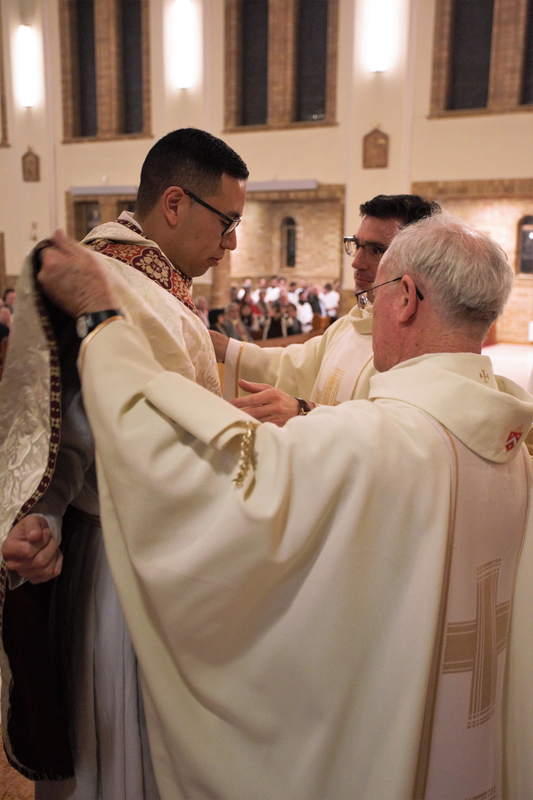 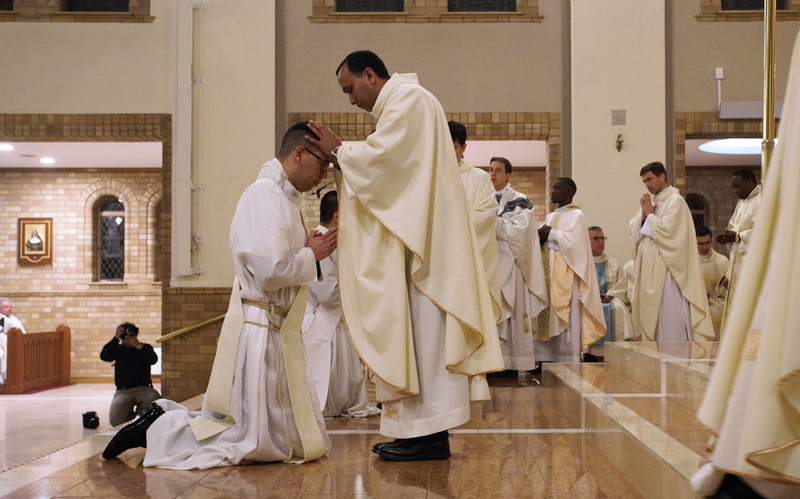 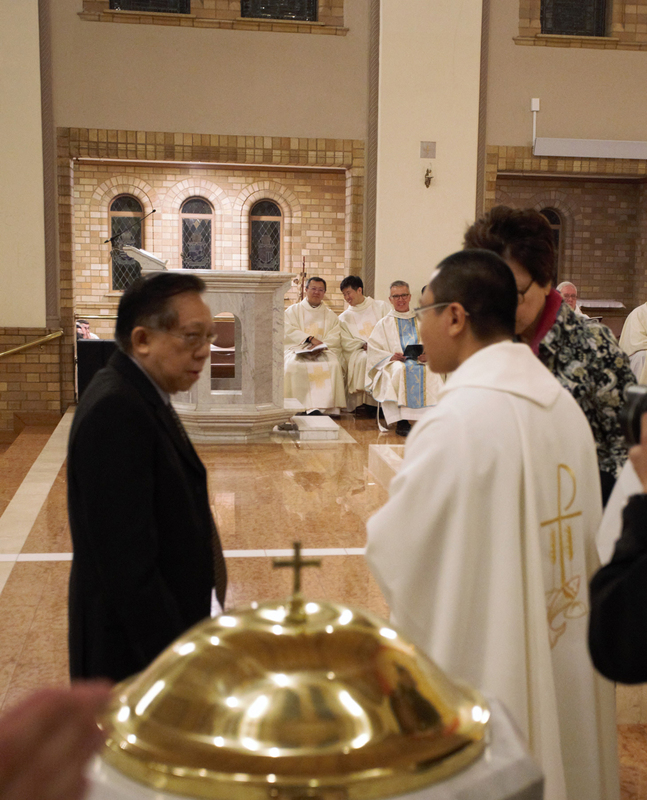 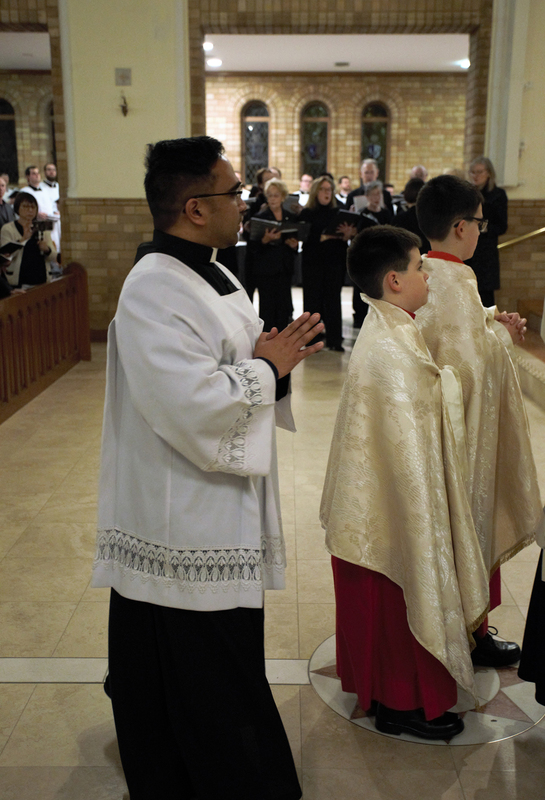 Their lives have been linked for some time now and so it was only fitting that Deacon Namora Anderson and Deacon Adrian Chan should both be ordained priests together at the same ceremony at St Christopher’s Cathedral on September 7. 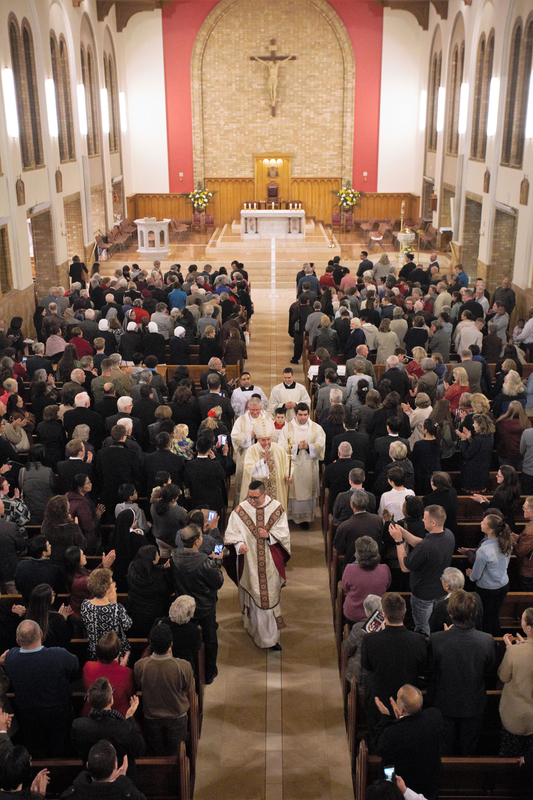 Before a packed congregation, with Archbishop Christopher Prowse the Principal Celebrant and with Bishop Pat Power, 54 priests and around 30 seminarians assisting, the two were ordained priests in the same Cathedral where they were ordained deacons together just a year earlier. 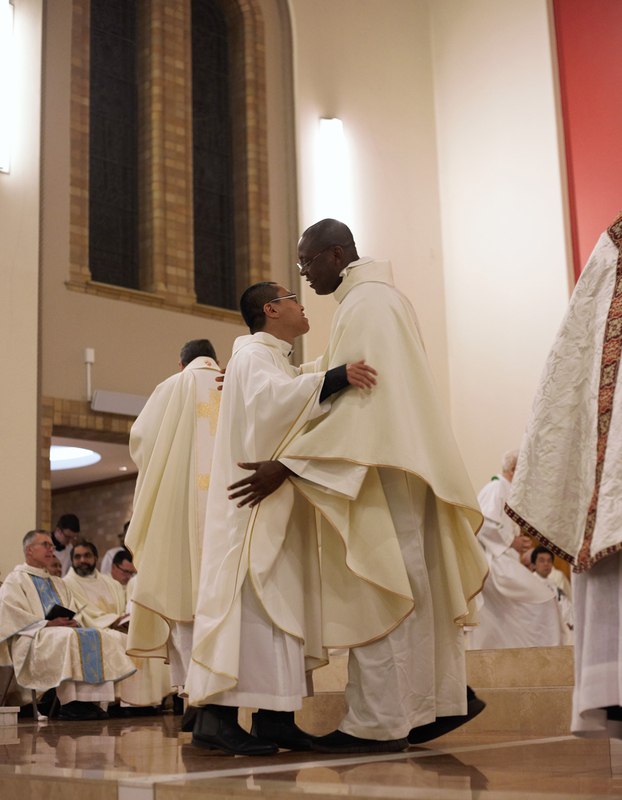 Archbishop Prowse said it was particularly joyful having two deacons being ordained. 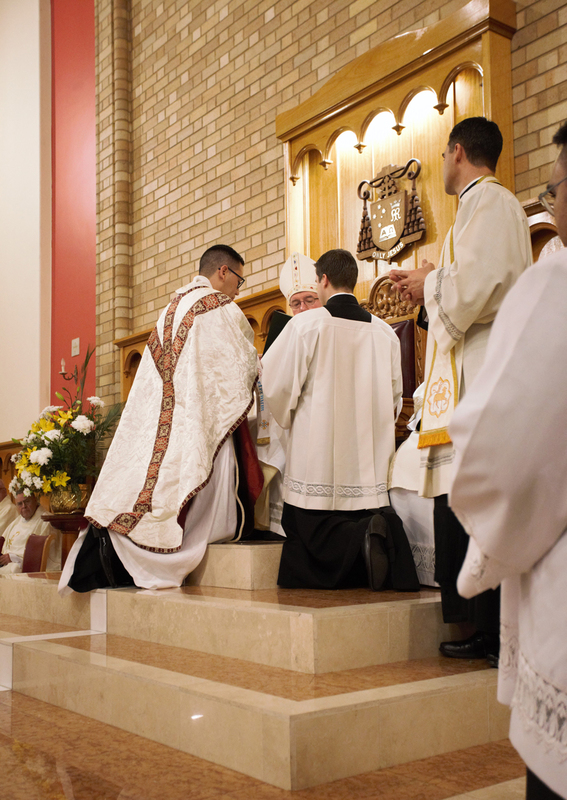 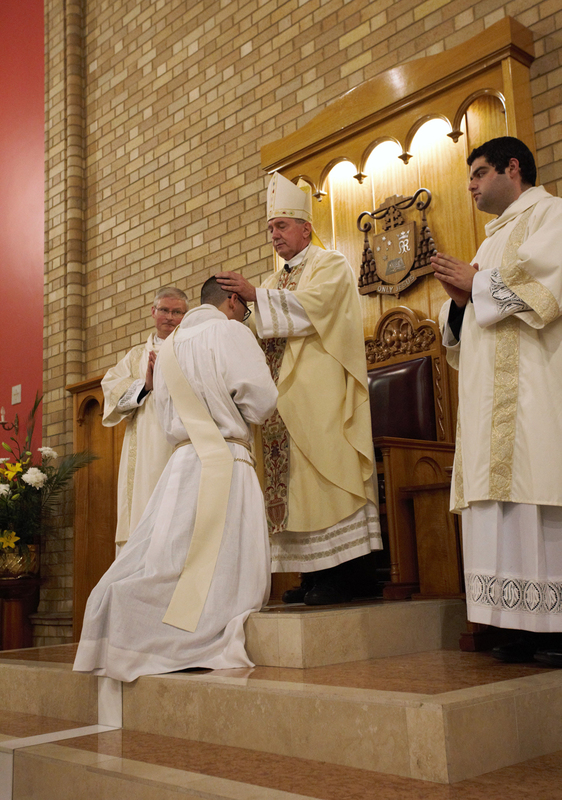 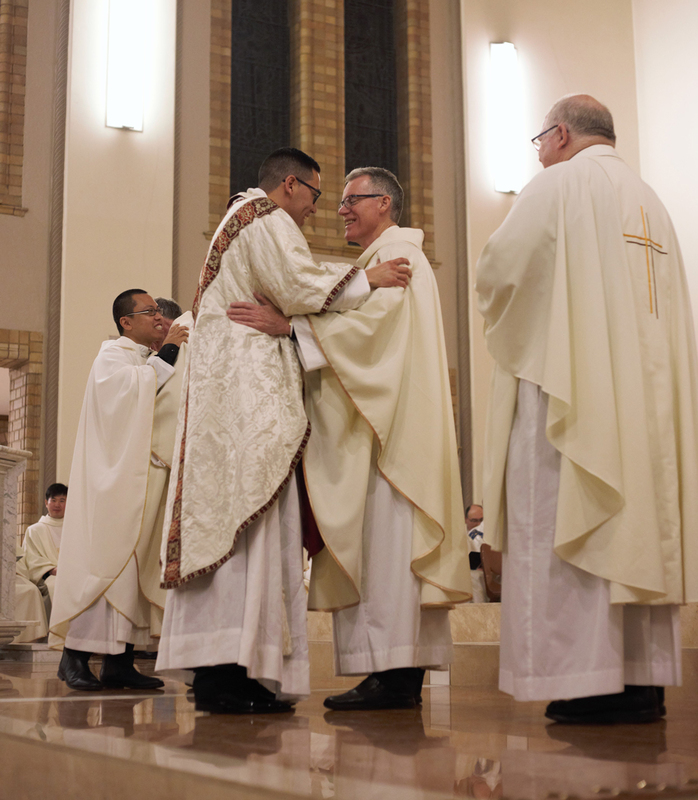 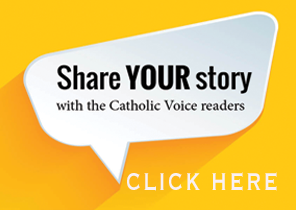 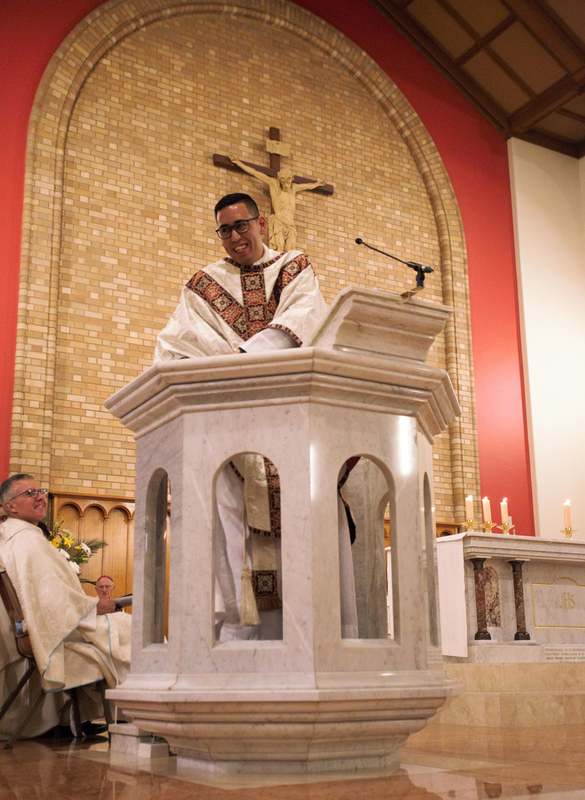 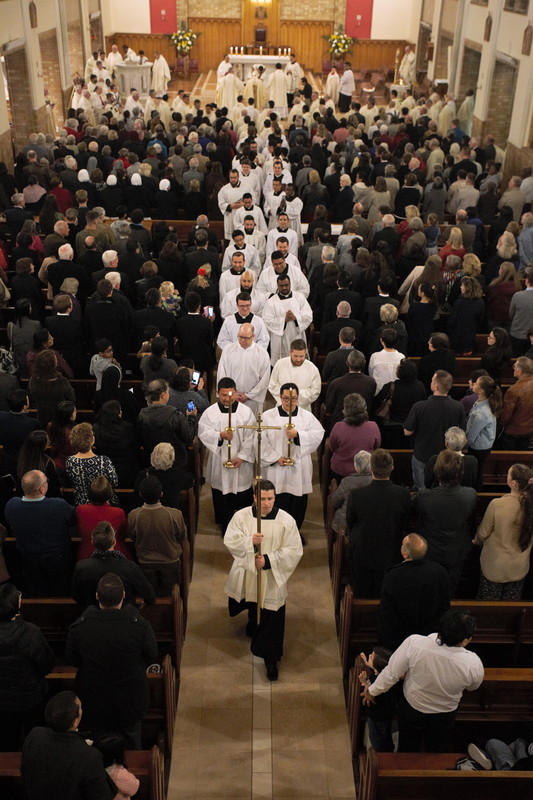 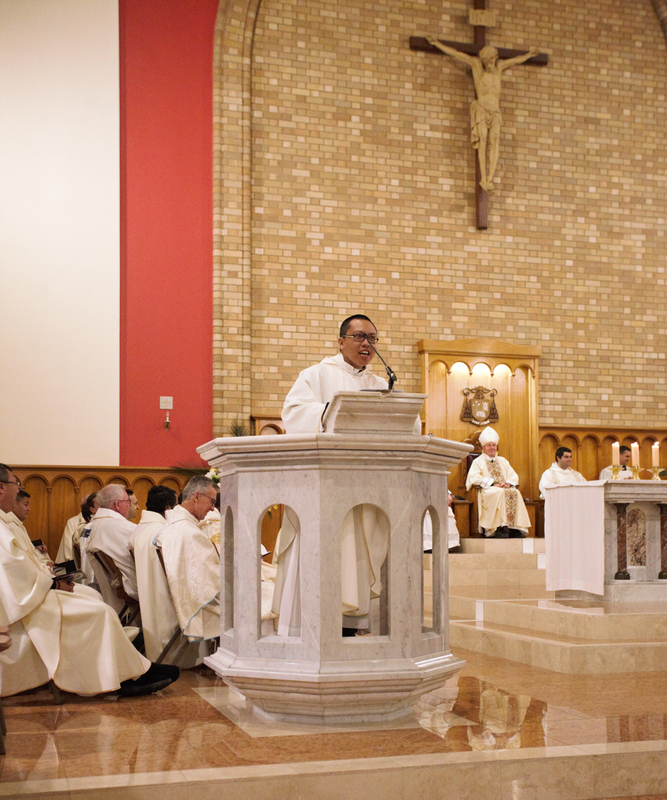 “As the Archbishop of the Archdiocese it is of incredible joy for me to be able to celebrate the ordination of two of my Deacons at the same time,” he said. 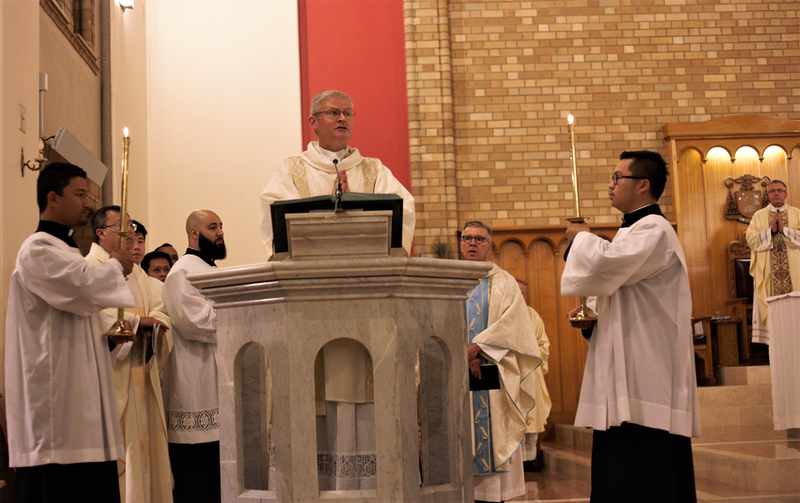 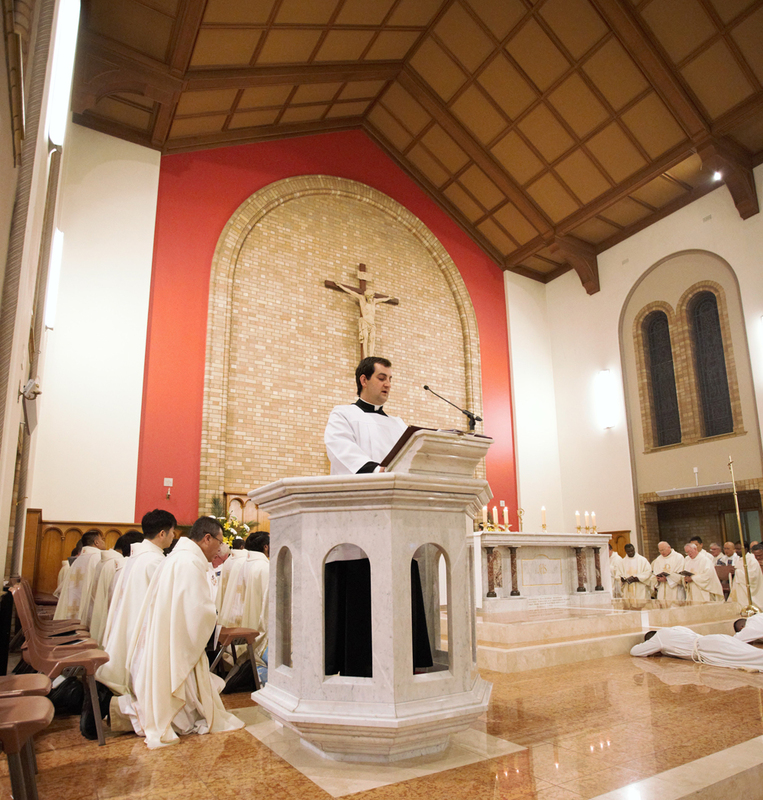 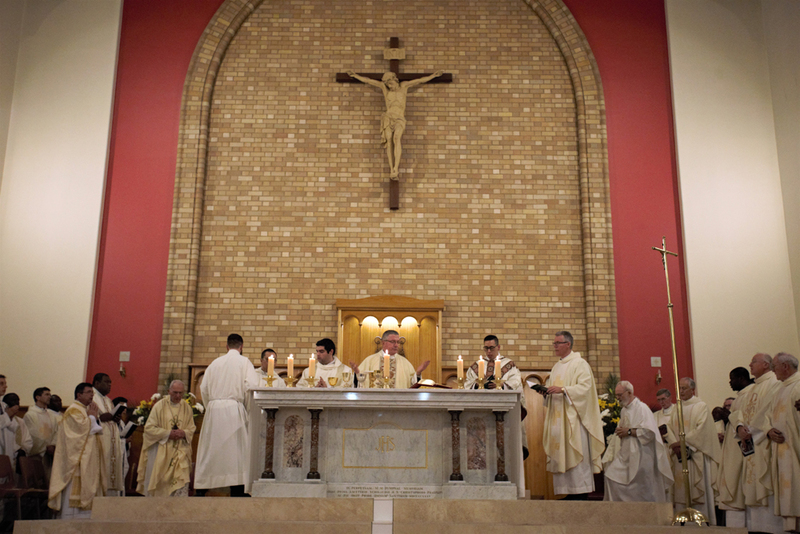 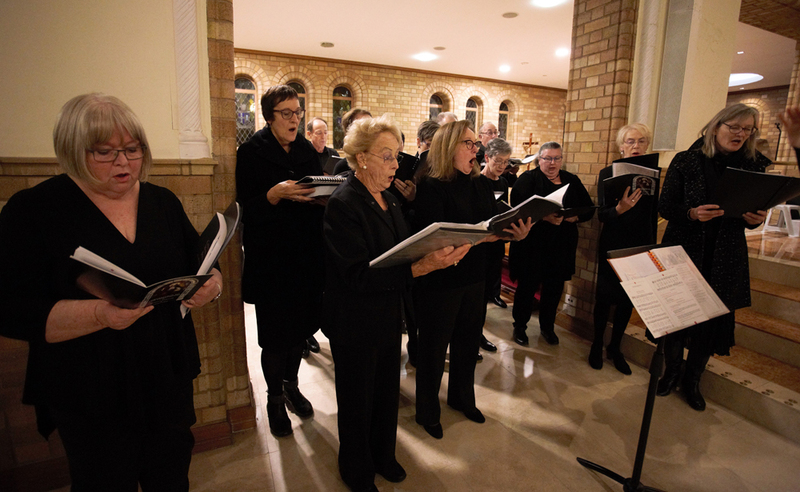 ” For this Archdiocese it is quite an unusual occurrence for which we are most grateful to the Lord. 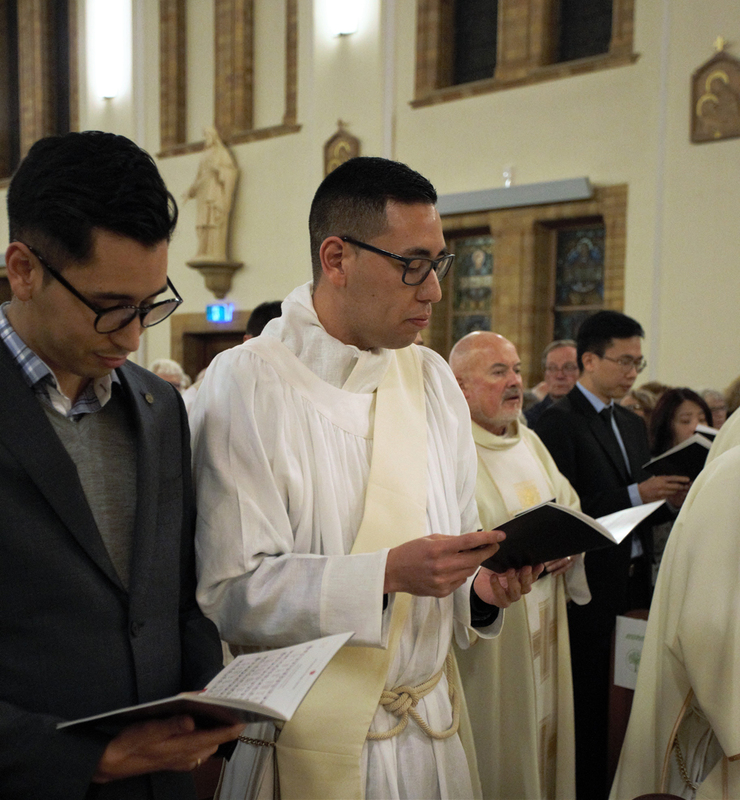 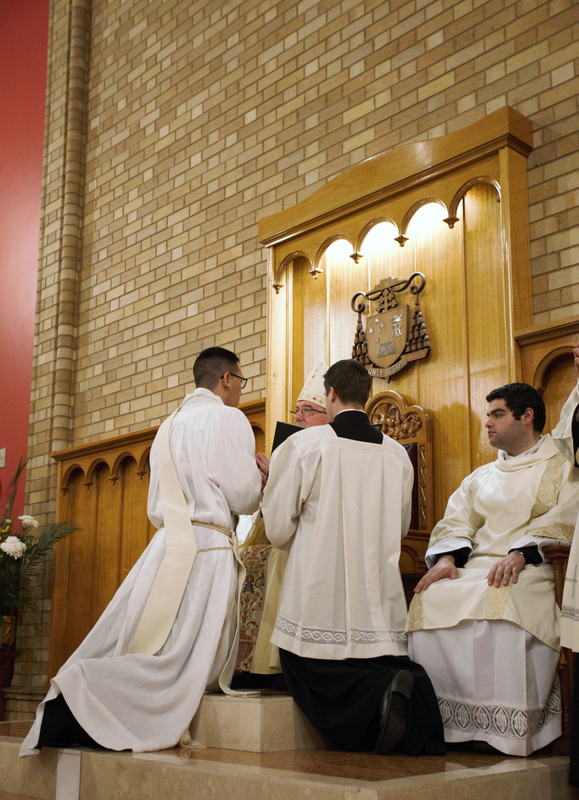 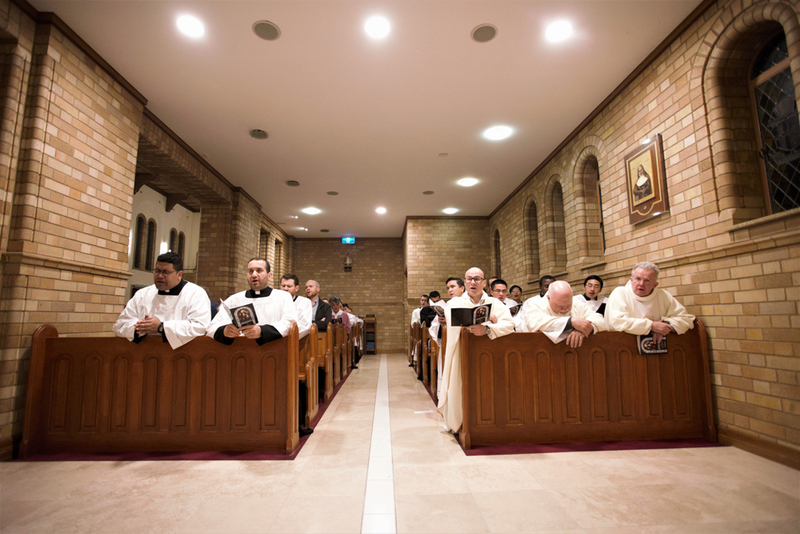 “We have accompanied now for quite some years both Adrian and Namora and have co-discerned with them that we believe that God is indeed calling them to the great gift of the Priesthood. 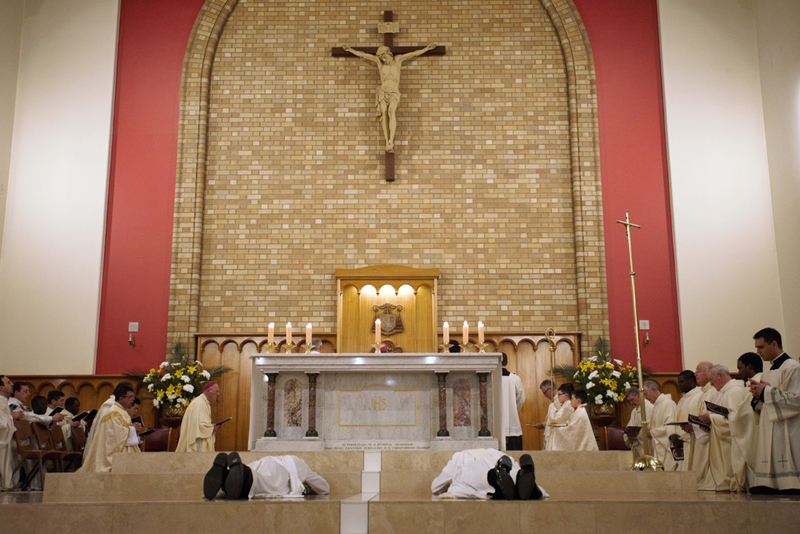 Fr Namora and Fr Adrian both promised their obedience to Archbishop Prowse and his successors, while also pledging to lead a celibate life for the sake of the Kingdom. 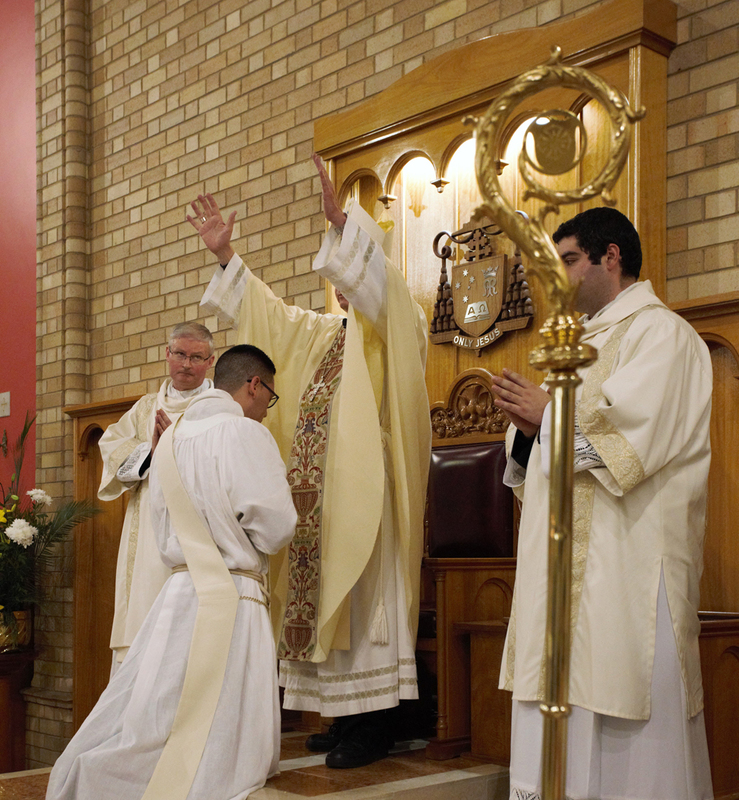 Prior to his formation and studies, Fr Anderson was an apprentice mechanic from Queanbeyan. 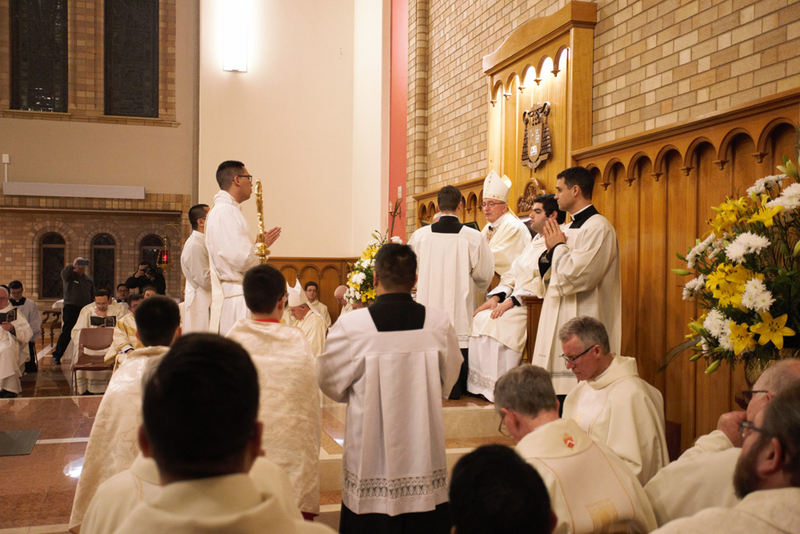 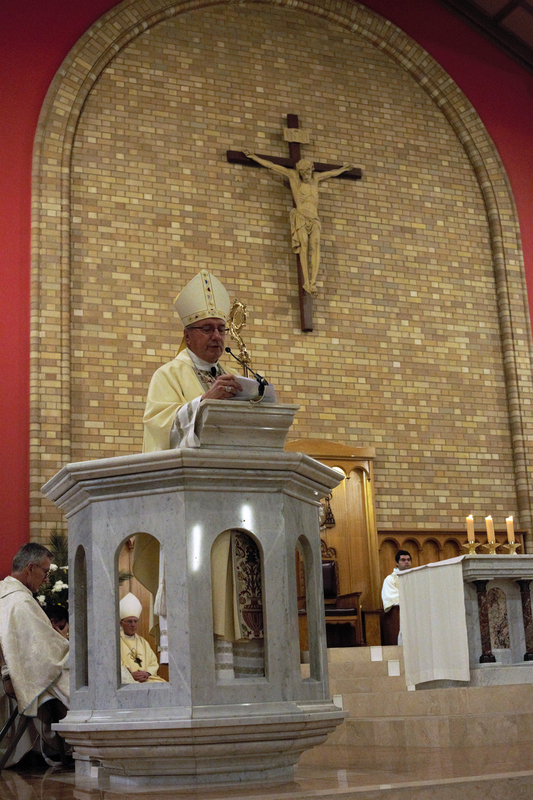 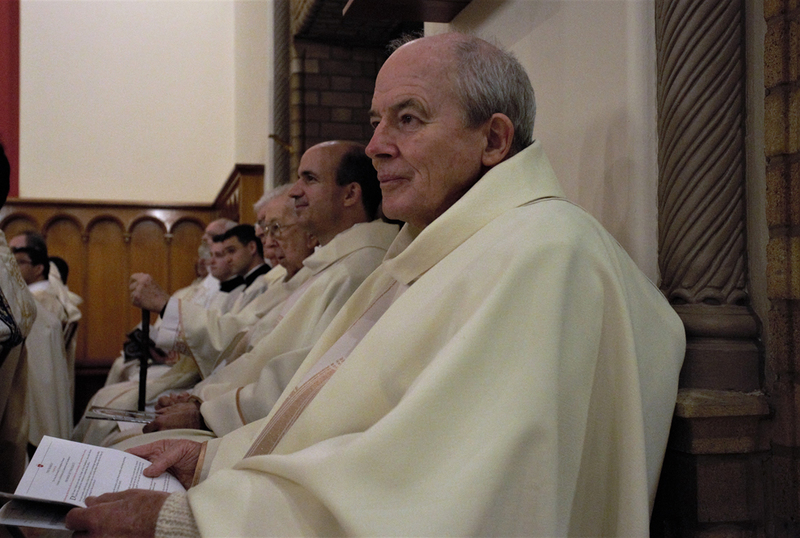 He left Queanbeyan to complete seven and a half years of formation at the Seminary of the Good Shepherd at Homebush in Sydney and during this time he also took on periods of pastoral work in Cootamundra, Goulburn, Moruya, Young, and Temora. 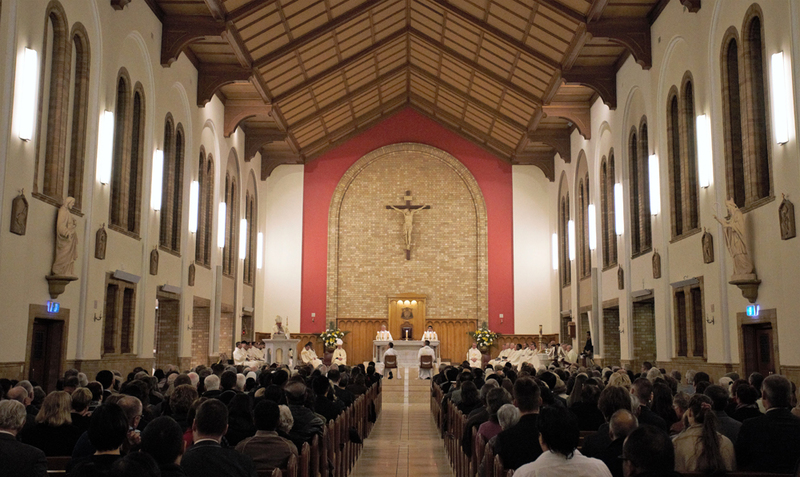 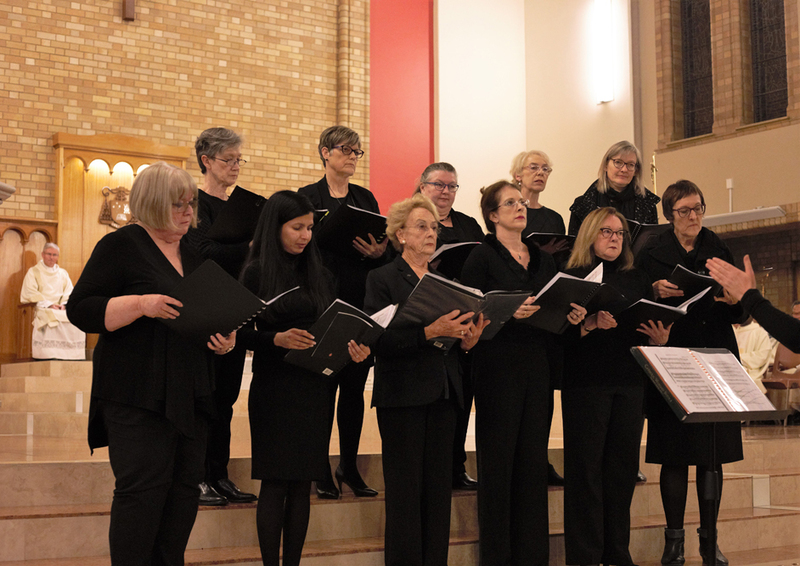 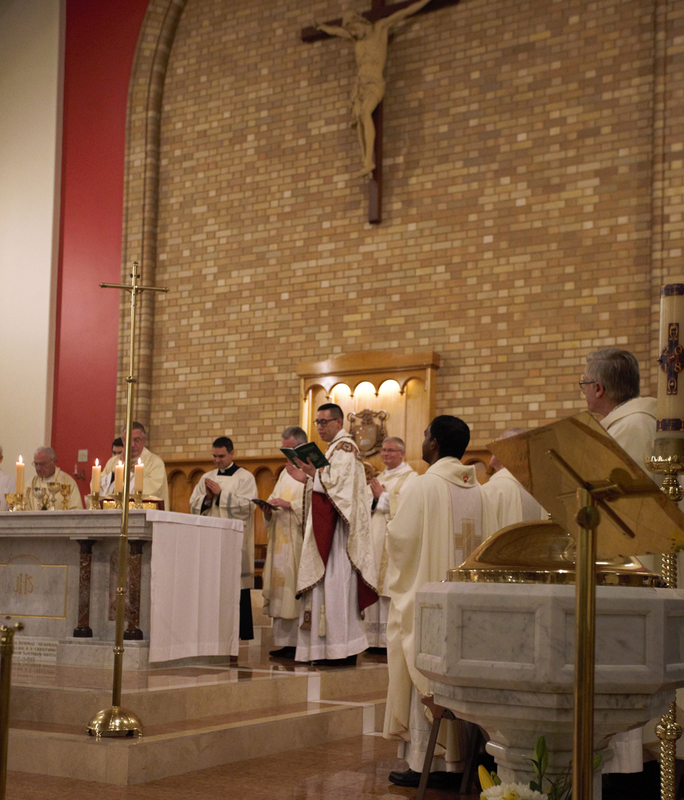 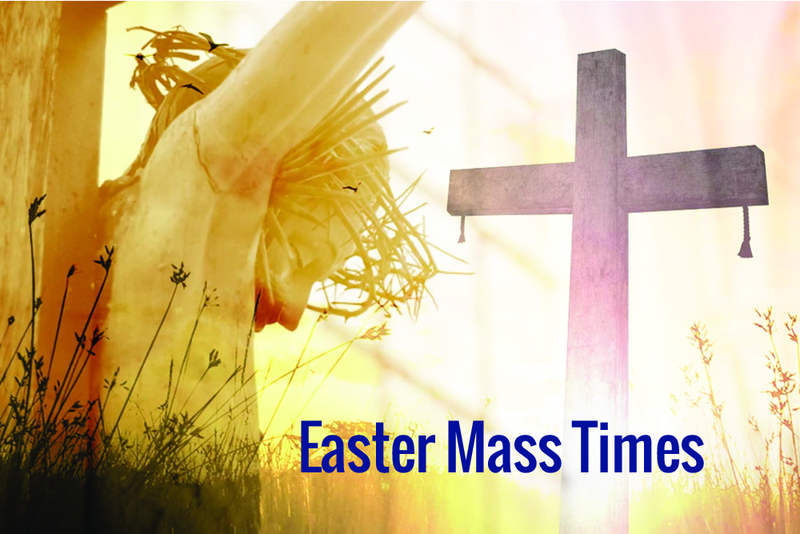 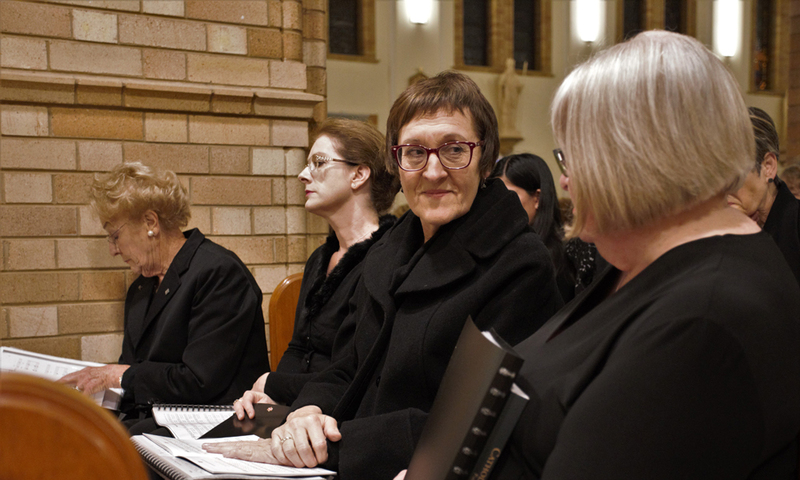 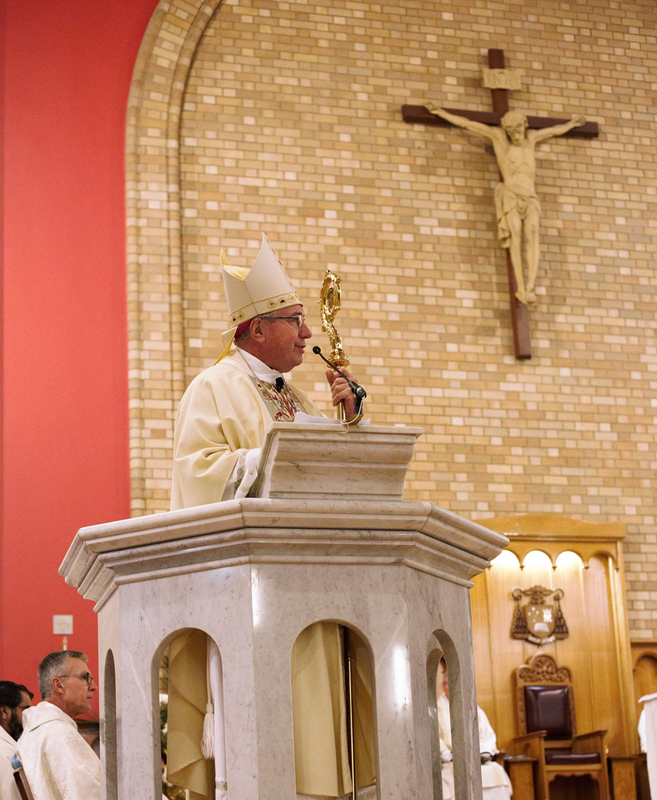 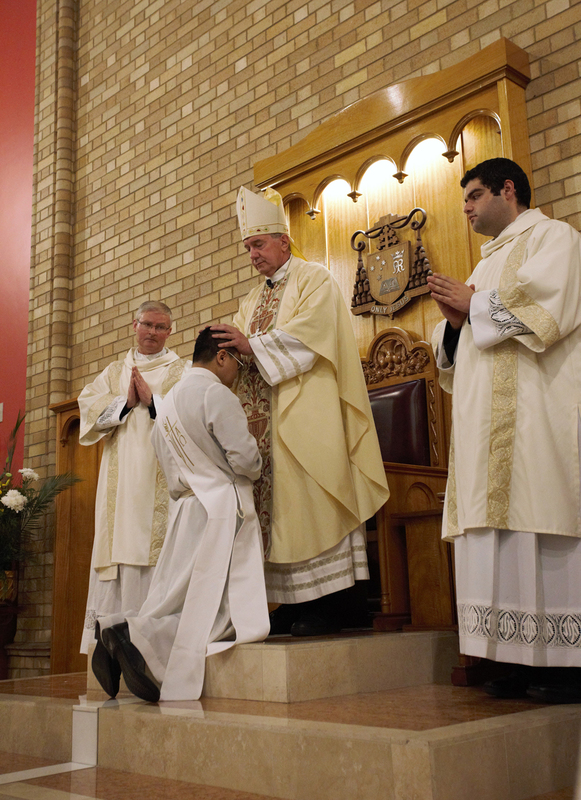 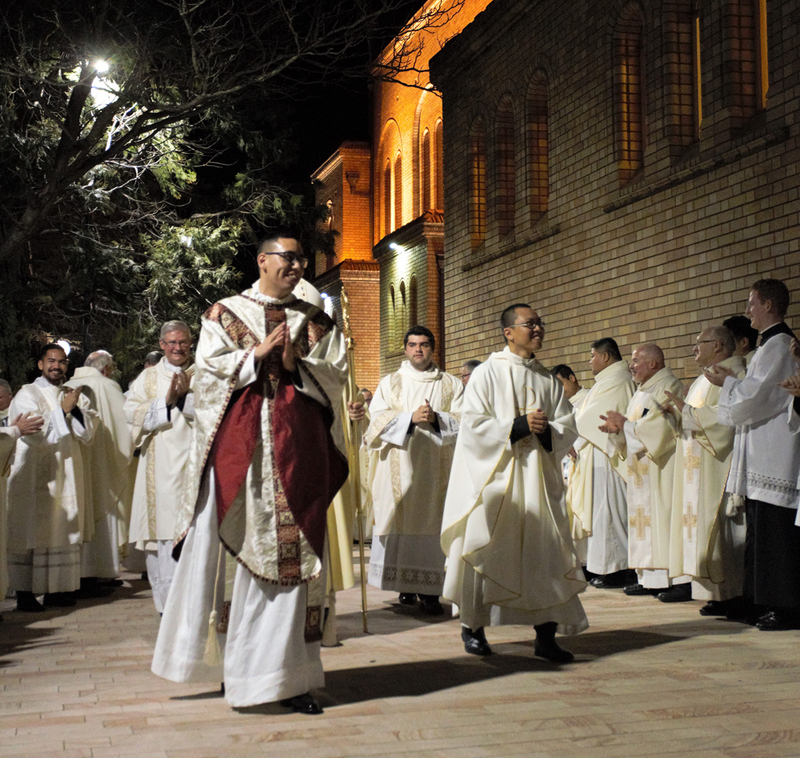 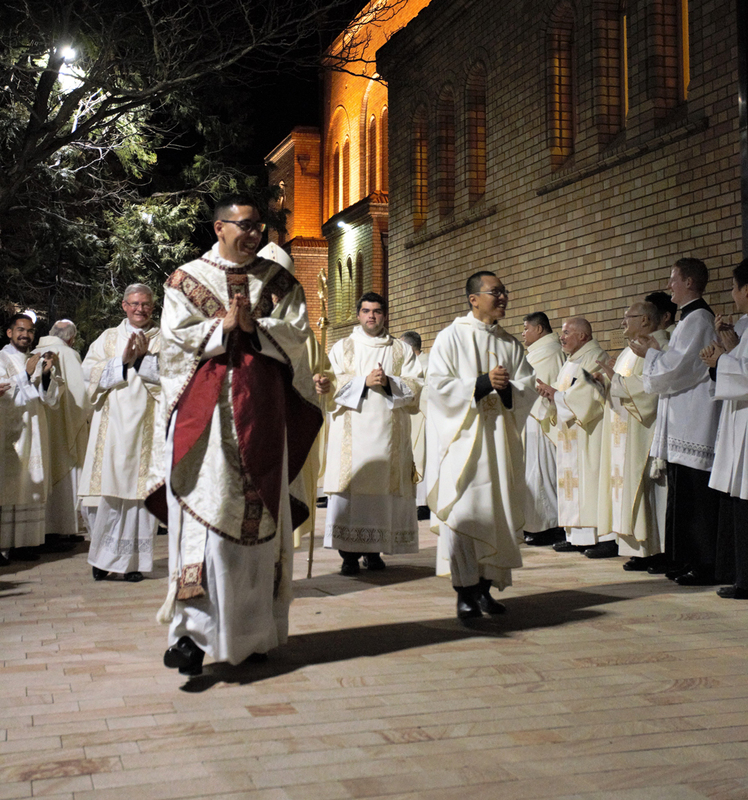 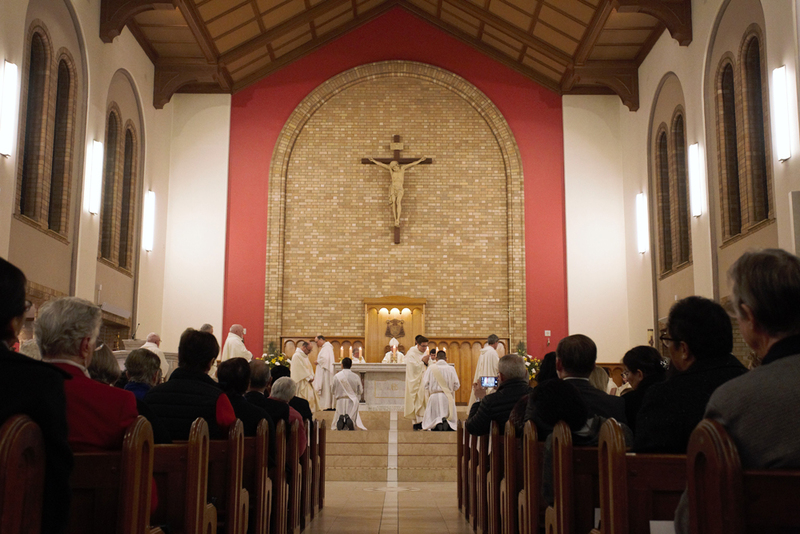 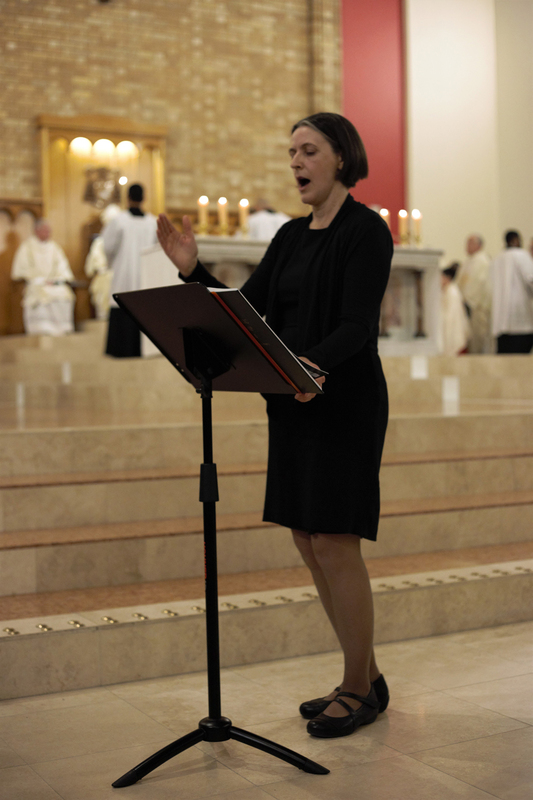 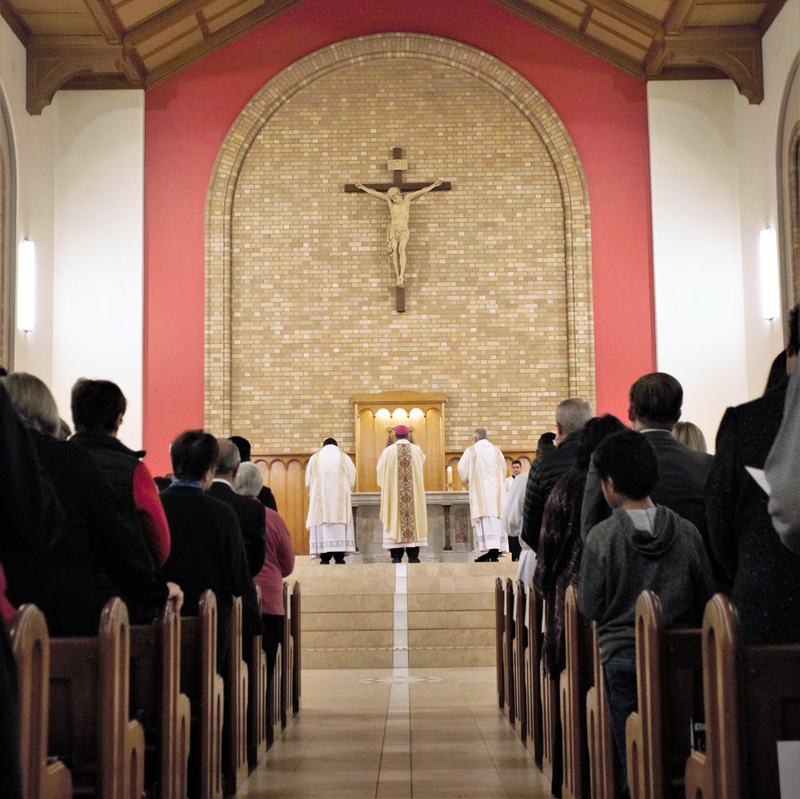 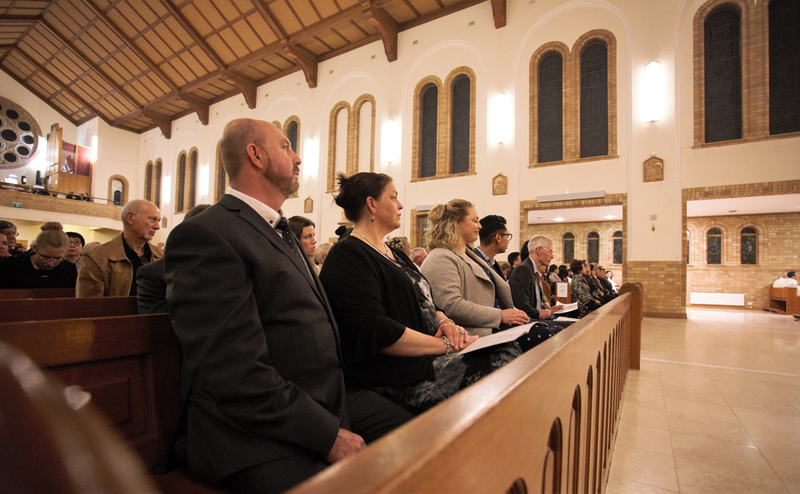 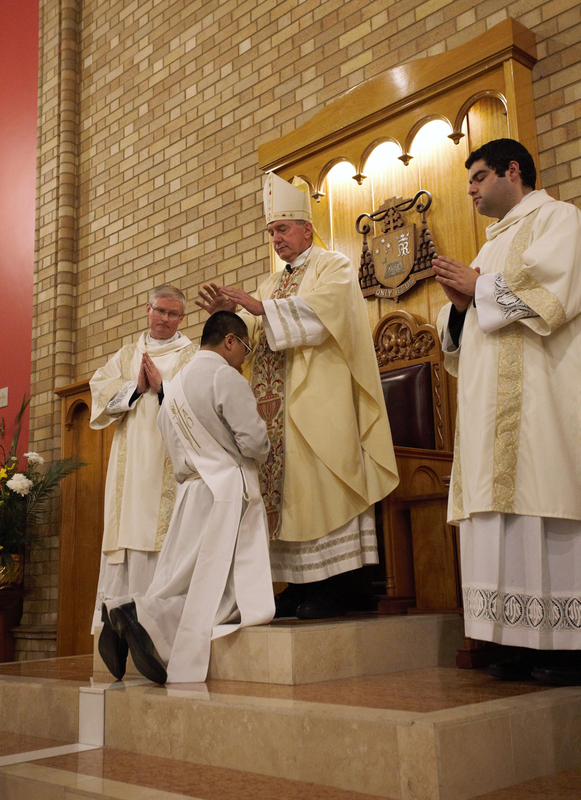 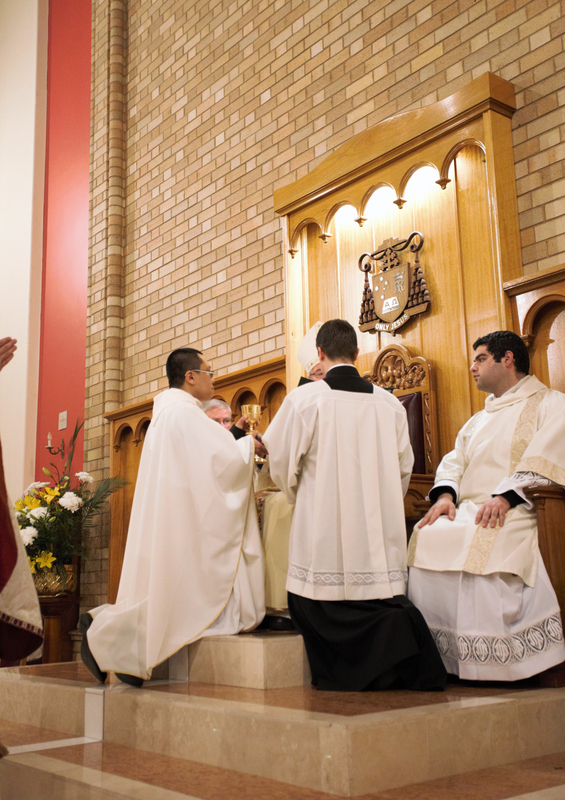 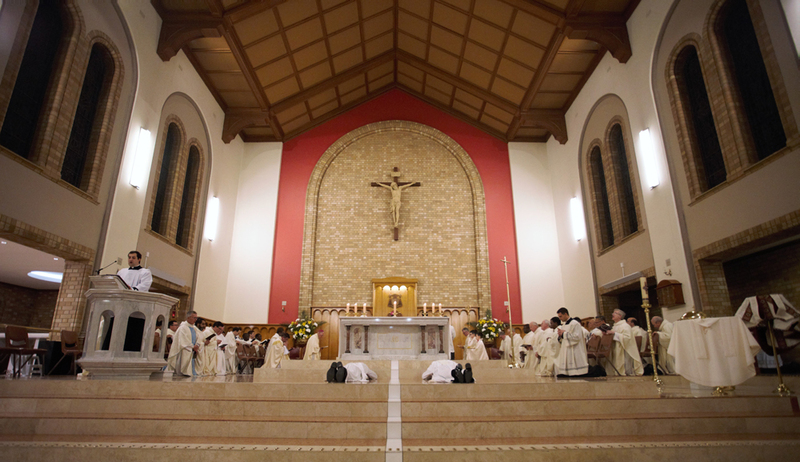 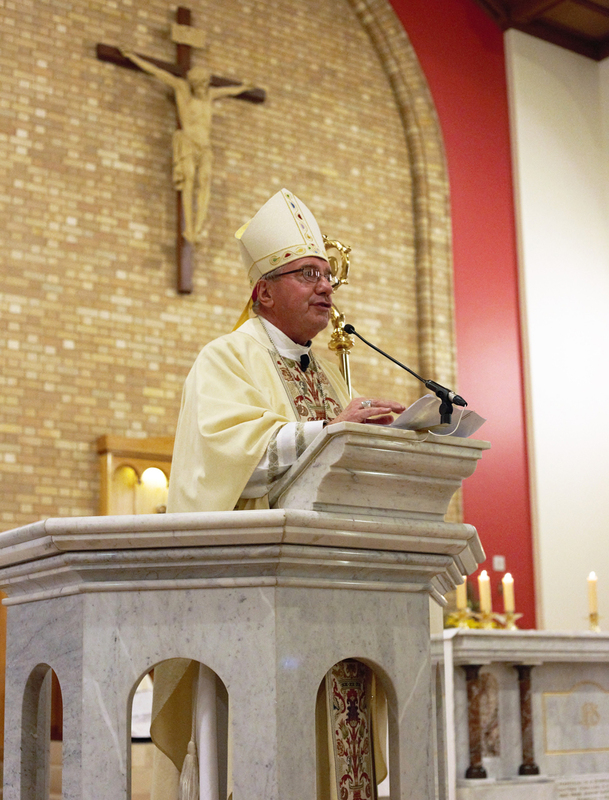 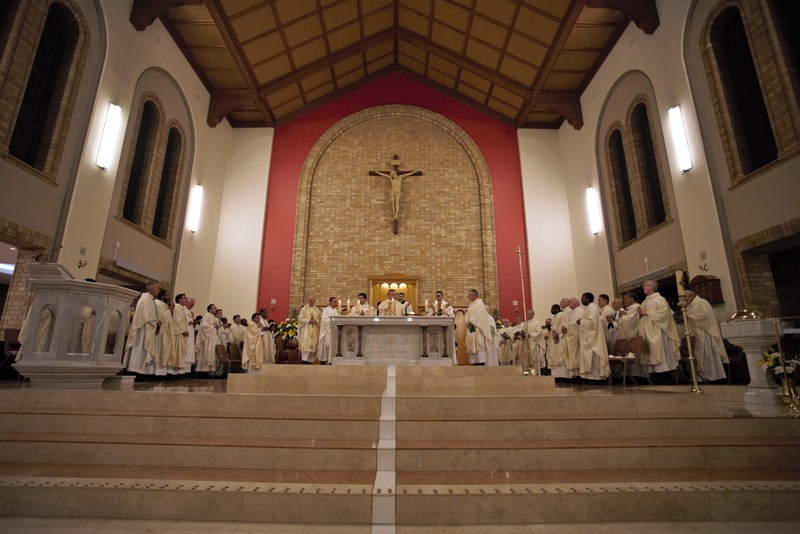 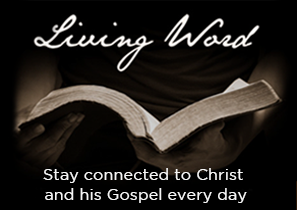 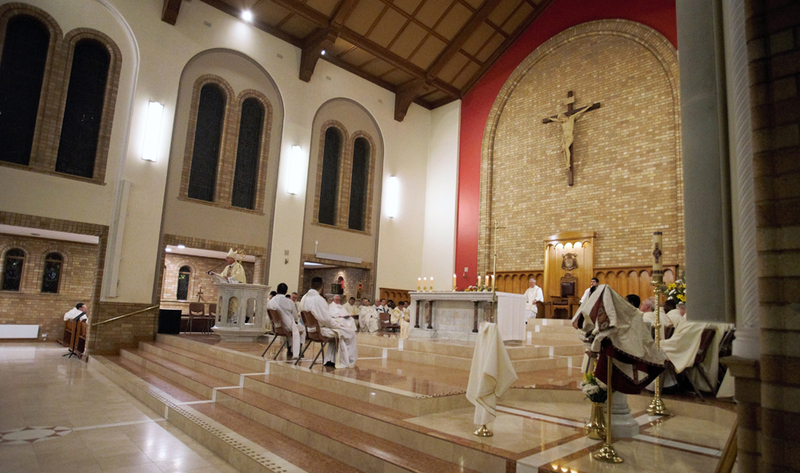 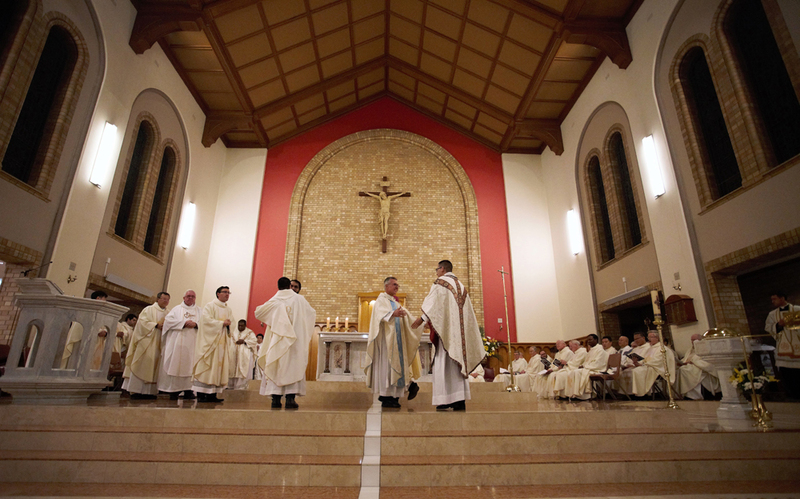 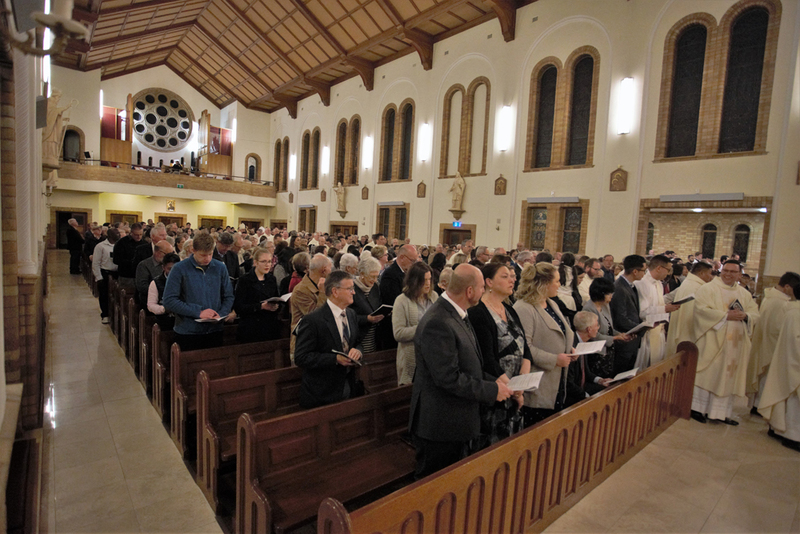 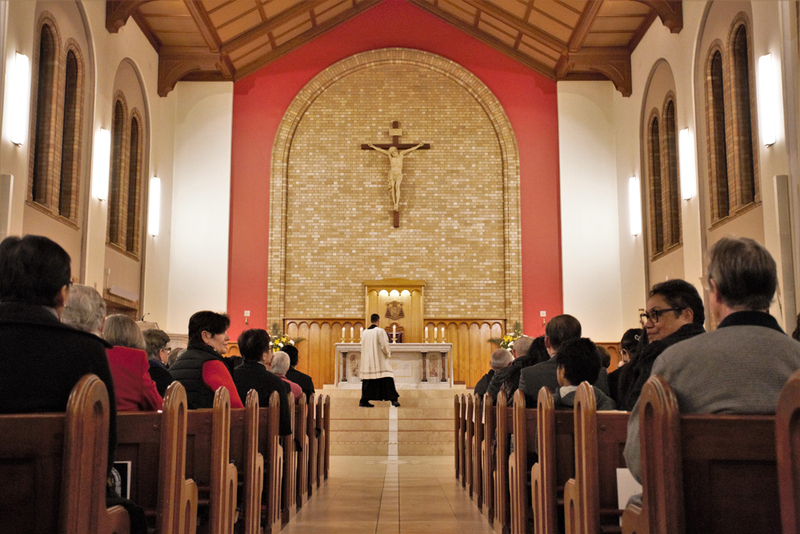 Since leaving Homebush he has been principally based at Holy Spirit Parish, Gungahlin. 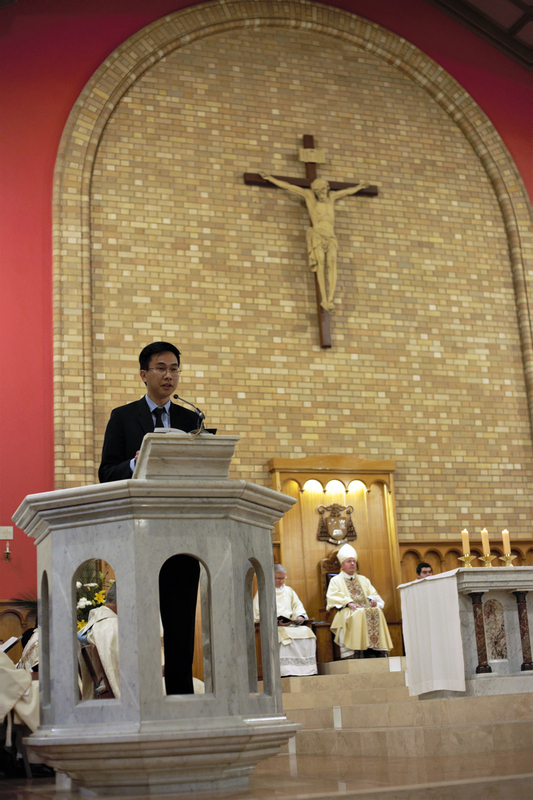 Fr Adrian Chan was born in Singapore and went to Christian Brothers Schools for his primary and secondary education and thereafter, the National University of Singapore studying the political sciences. 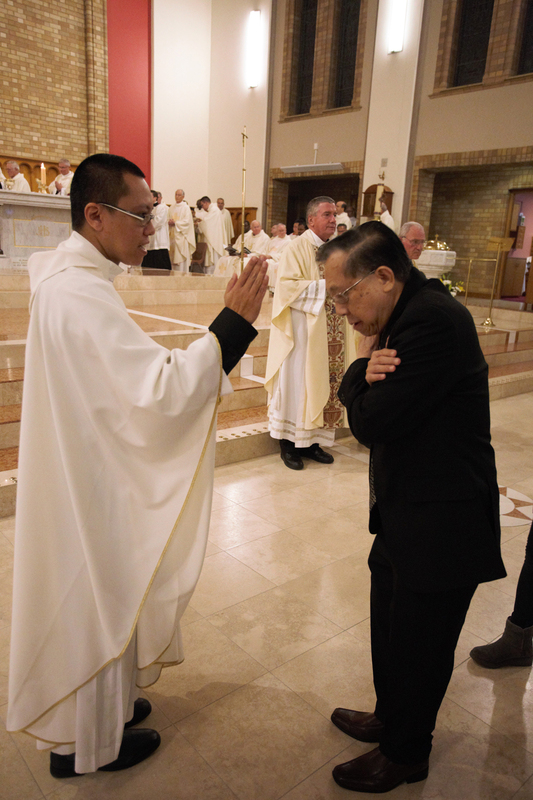 He worked for some years in the computer industry. 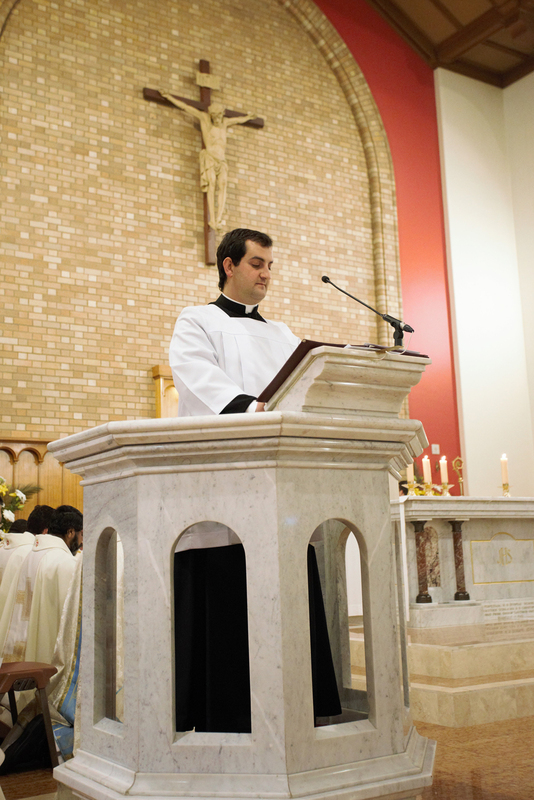 Ten years ago, he joined the Discalced Carmelites, learning philosophy at the St Francis Xavier’s Seminary Singapore, followed by theology at the Teresianum in Rome. 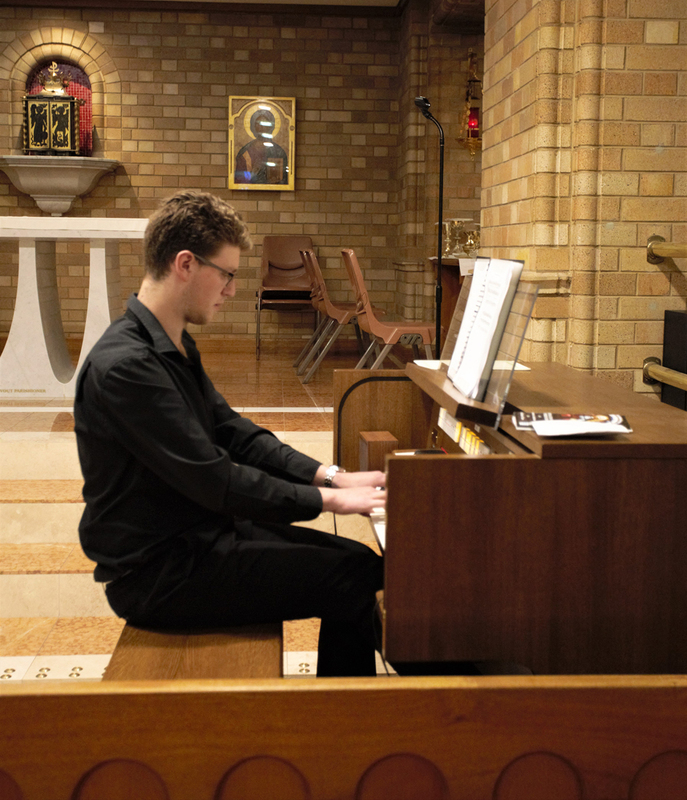 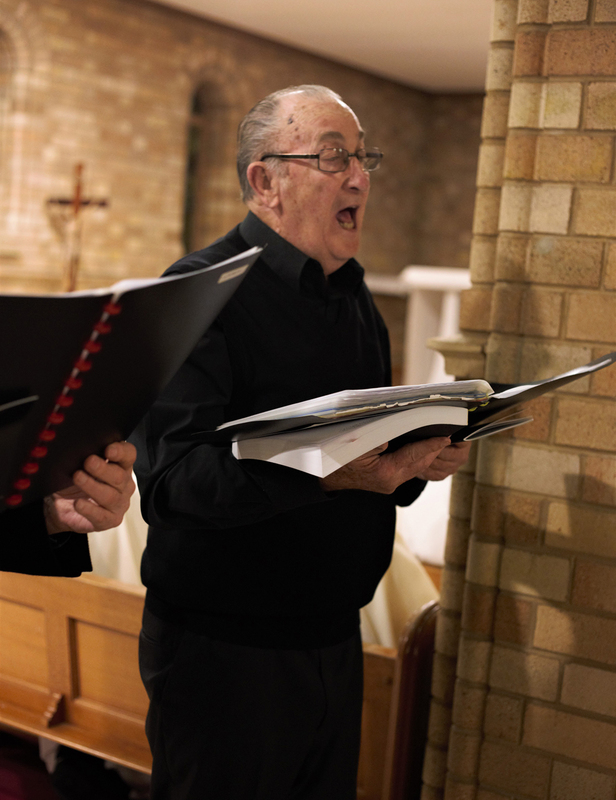 Having completed his studies, he has decided to opt for a diocesan vocation. 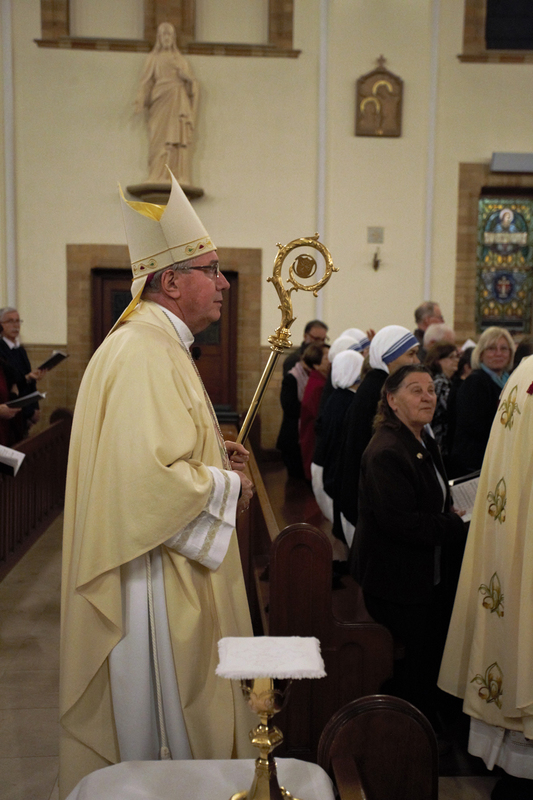 He was attached to Bega and Gungahlin as a seminarian, then Kambah as a deacon. 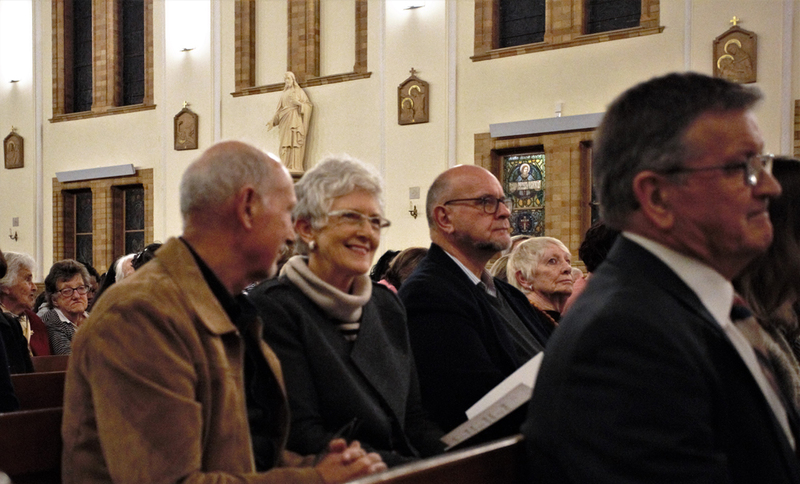 Both men had family and friends present, many of which travelled great distances to attend. 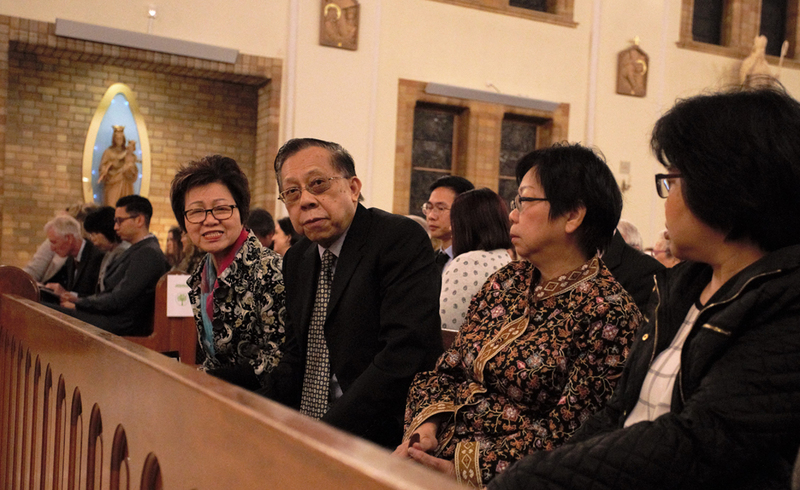 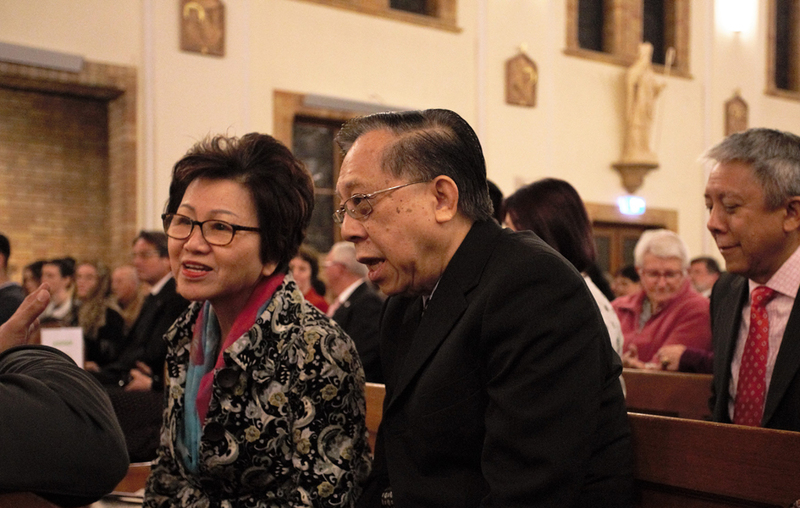 Fifteen members of Fr Adrian’s family came from Singapore for the ordination including uncle, aunts and cousins. 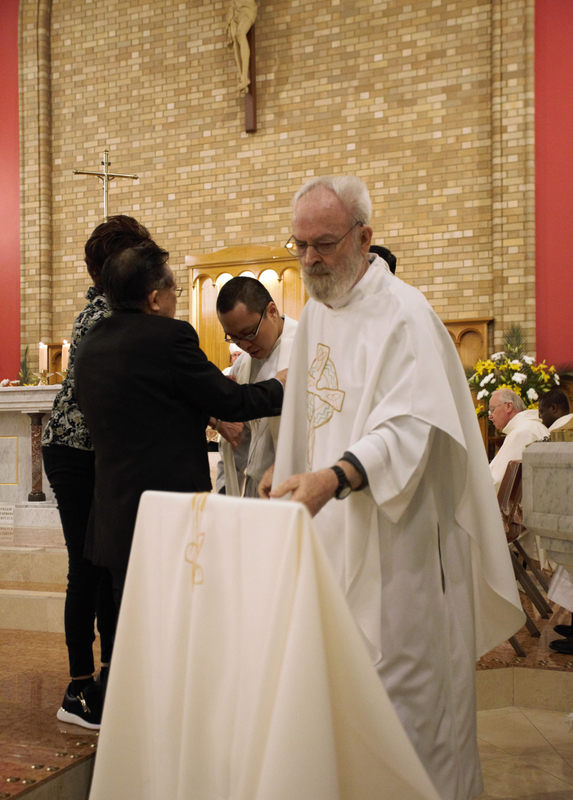 Father Tom Curran OCD also made the trip from Singapore to join clergy from many other dioceses who participated in the ordination. 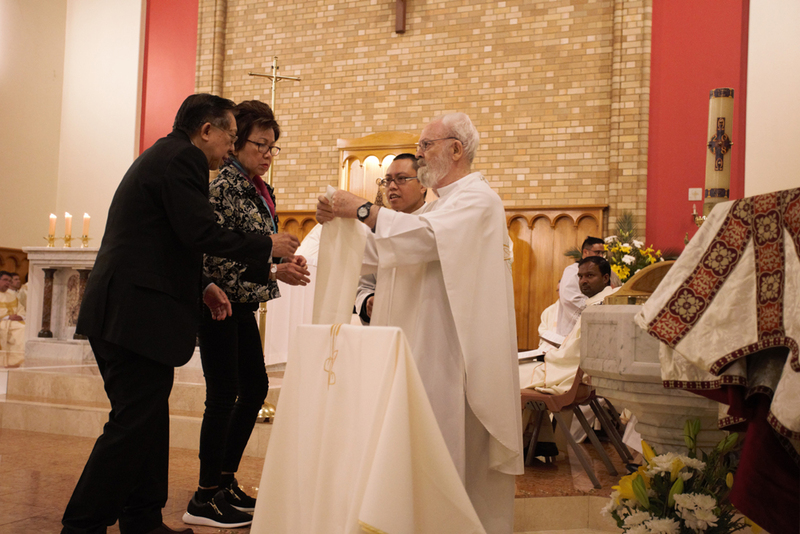 Family members of Fr Adrian and Fr Namora also participated as Readers and in the Presentation of Gifts. 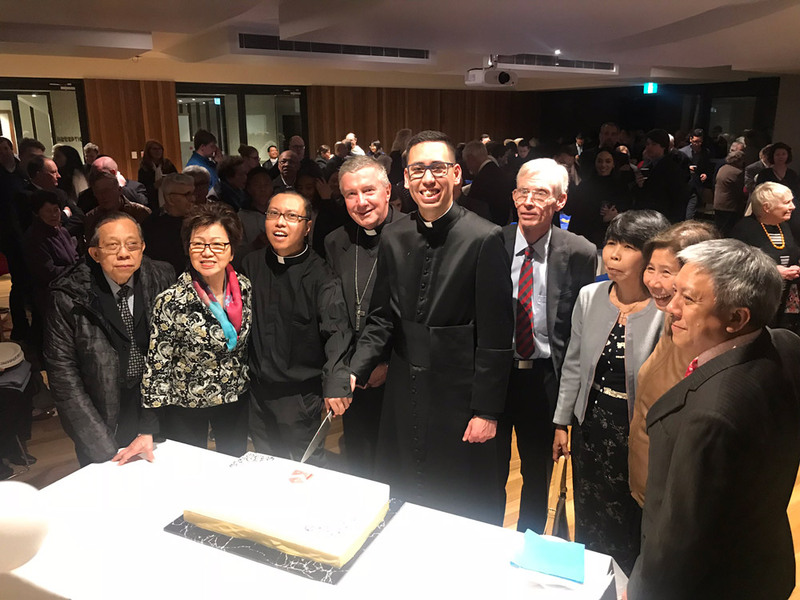 Fr Luke Verrell and Fr Dermid McDermott vested Fr Namora, while Fr Tom Curran and Edward and Theresa Chan vested Fr Adrian. 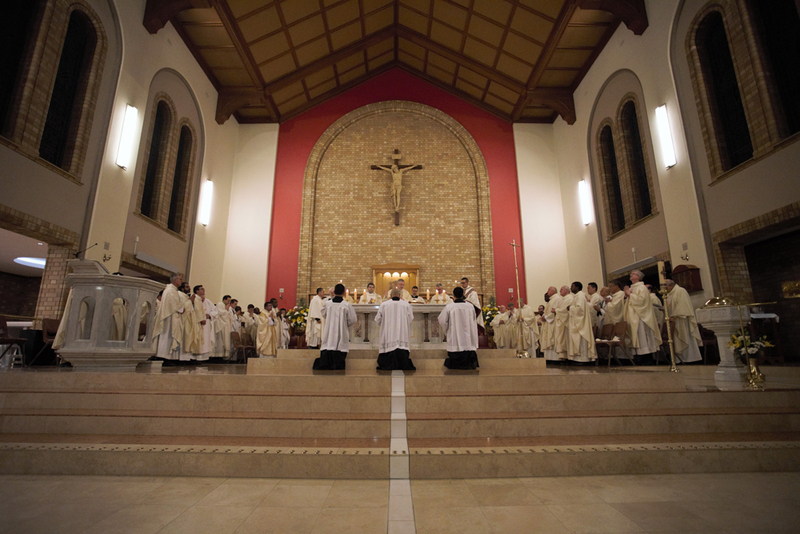 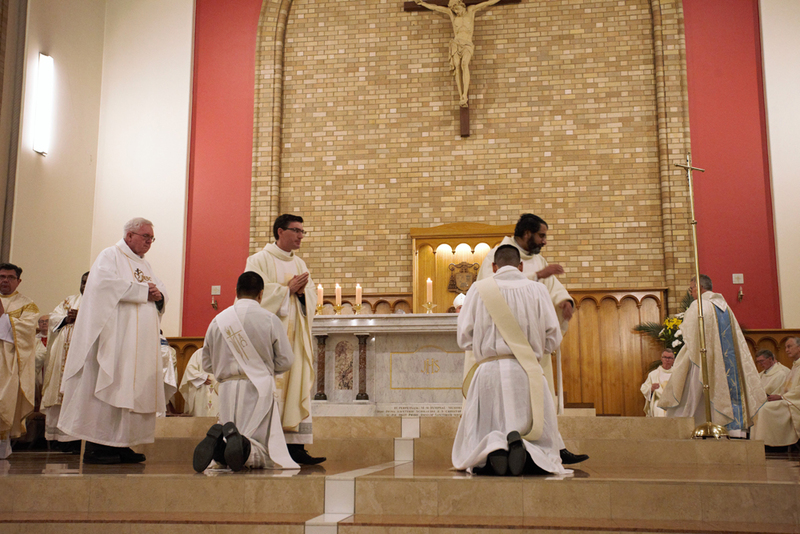 Promoter of the Ordination was Fr Daniel Meagher and Fr Paul Nulley was the Master of Ceremonies. 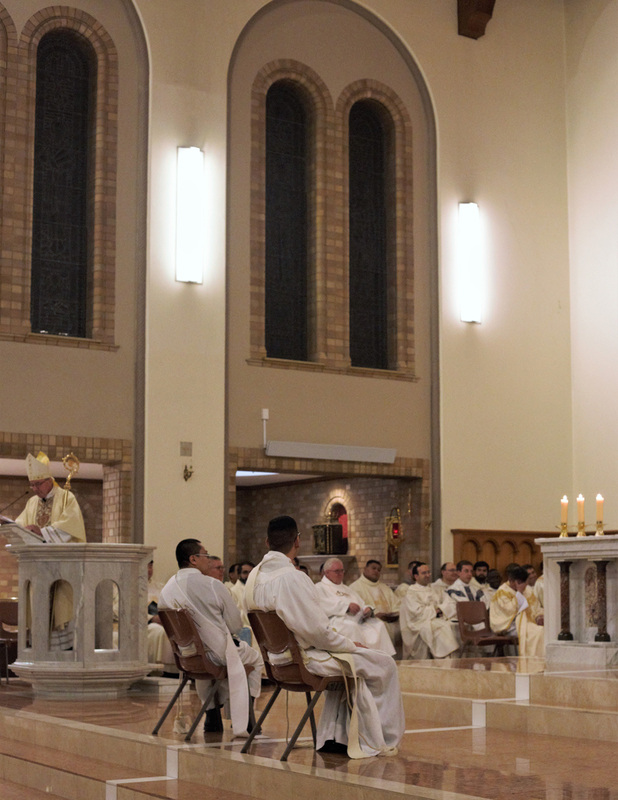 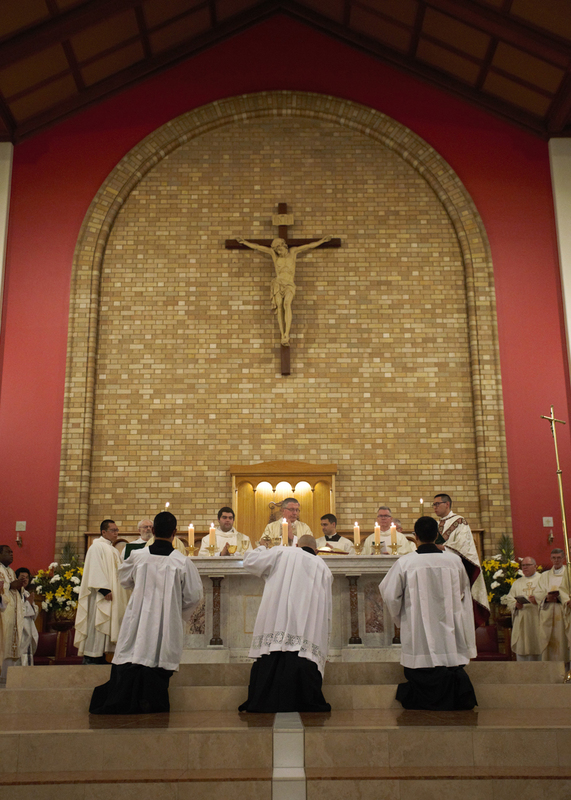 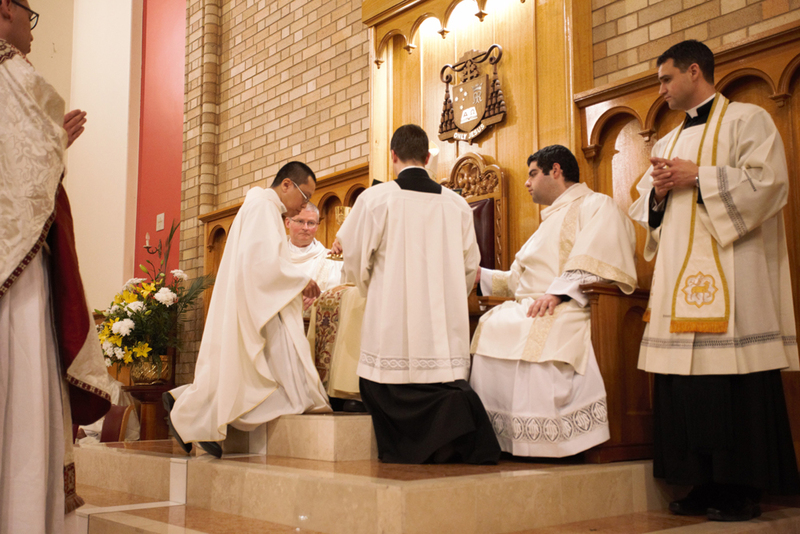 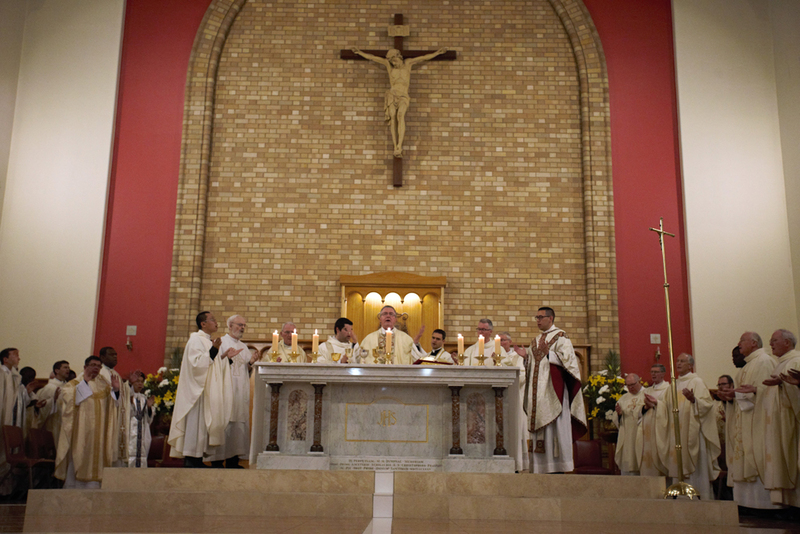 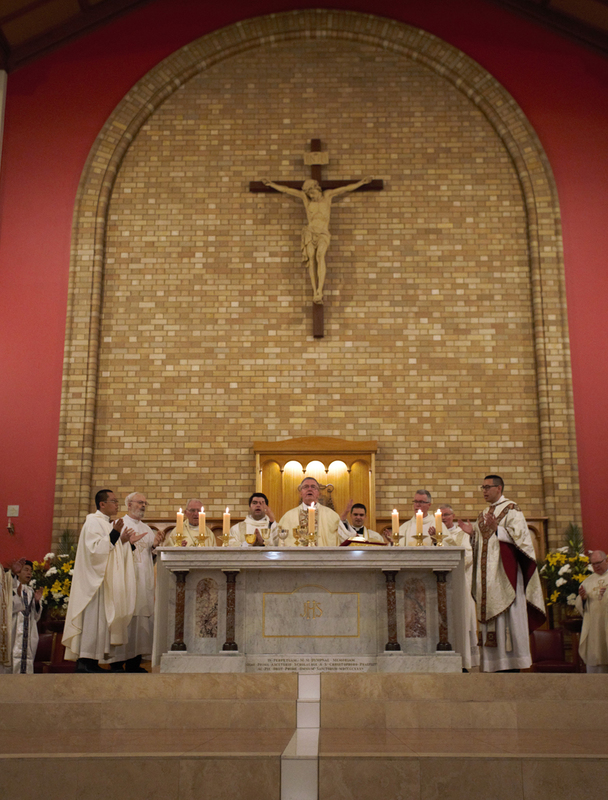 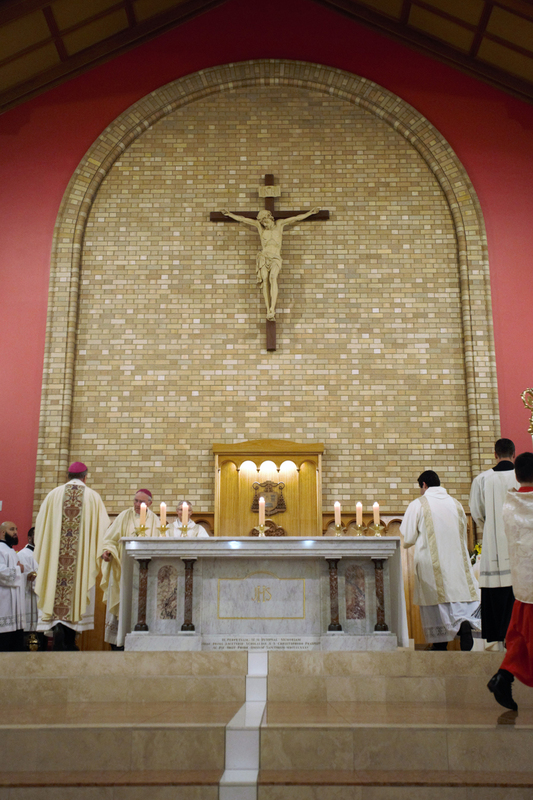 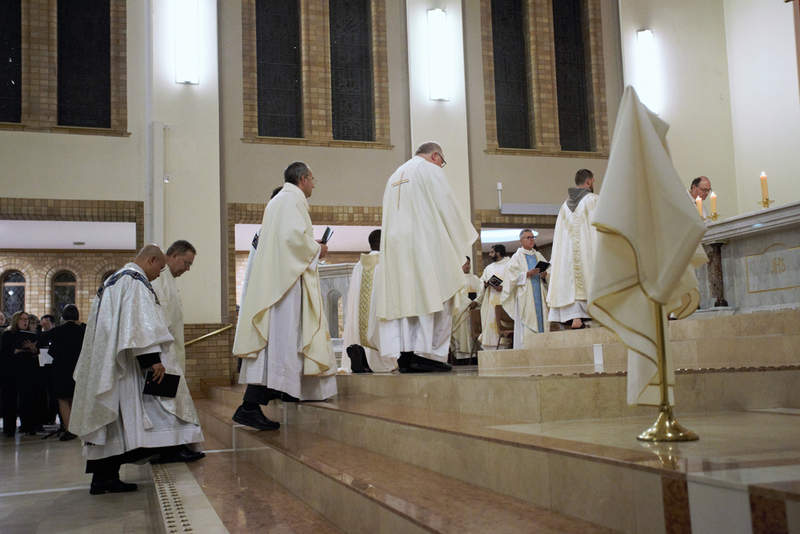 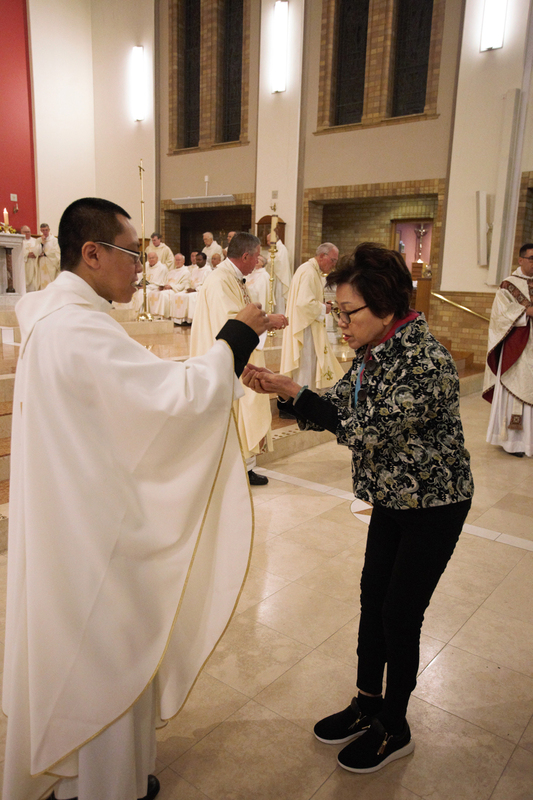 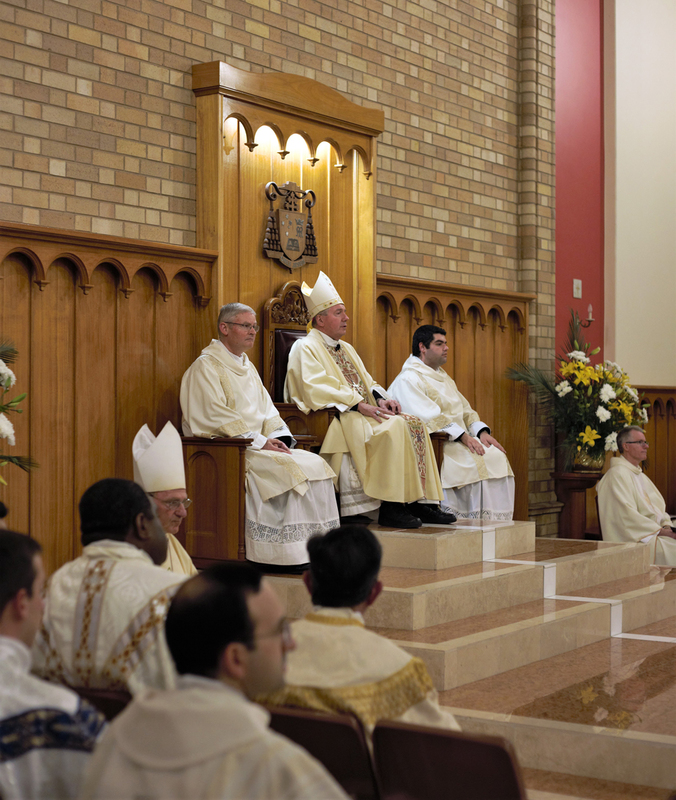 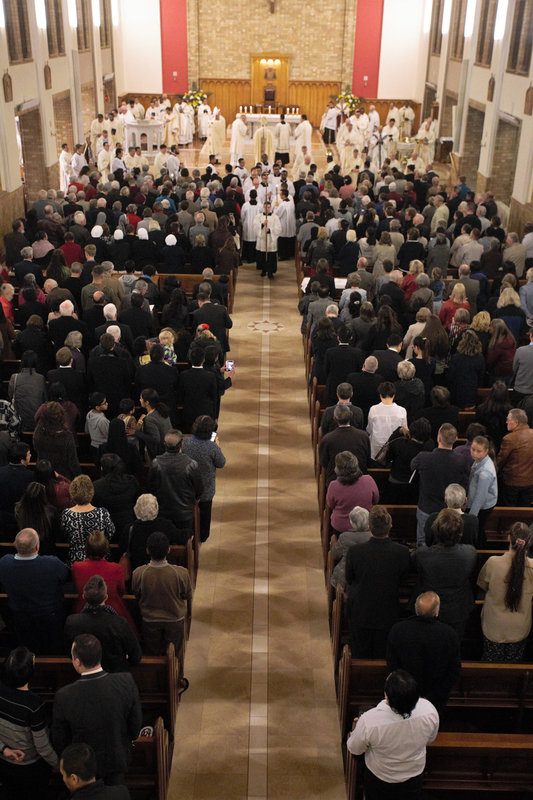 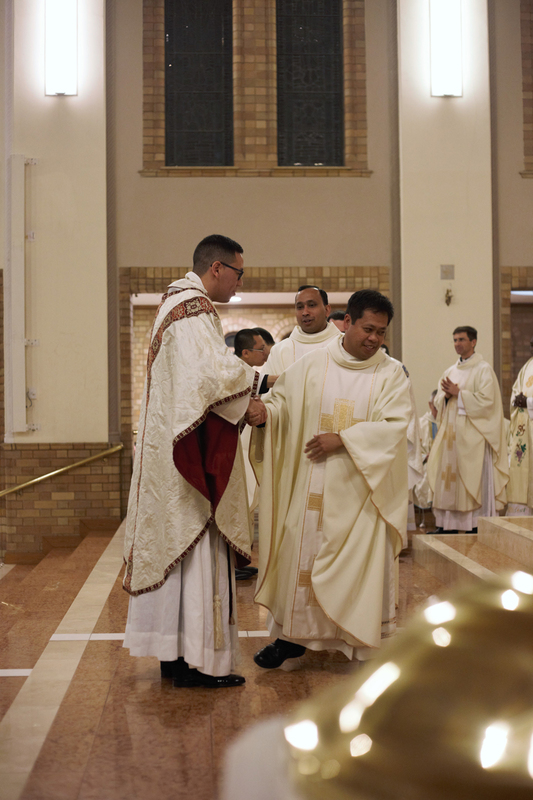 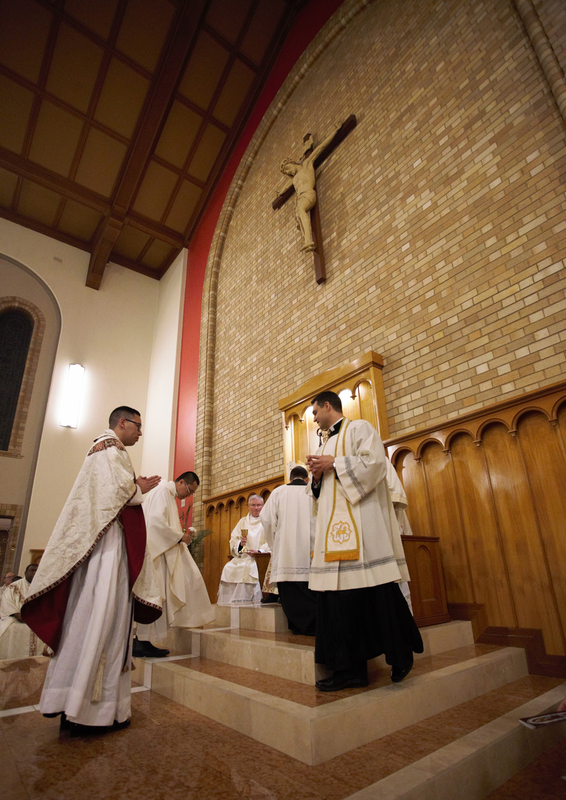 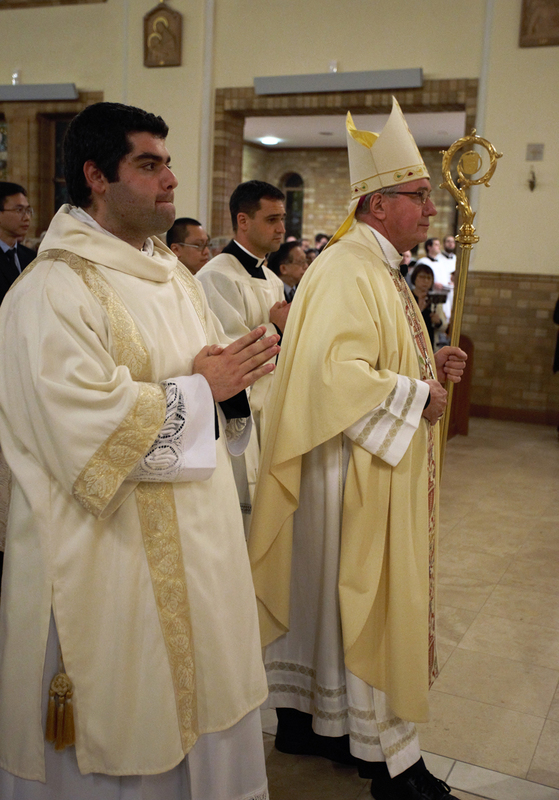 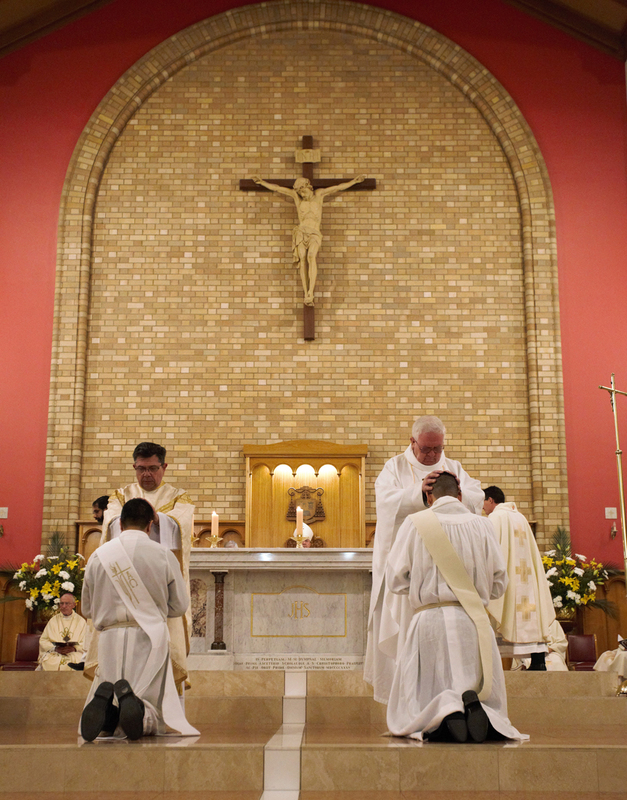 The Archdioceses two newest priests have already been given their appointments. 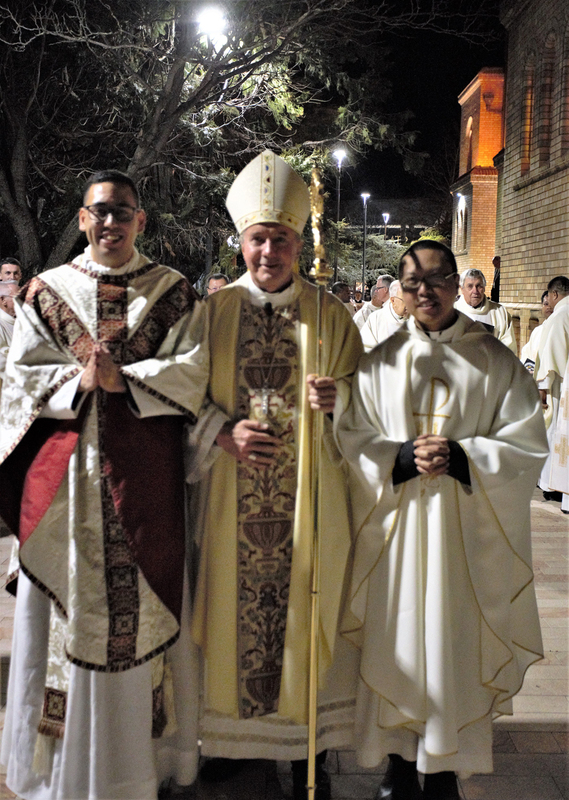 Fr Adrian will be taking up the appointment of Assistant Priest at South Woden effective from December 7, and Fr Namora will be Assistant Priest at Tumut and Gundagai from September 21. 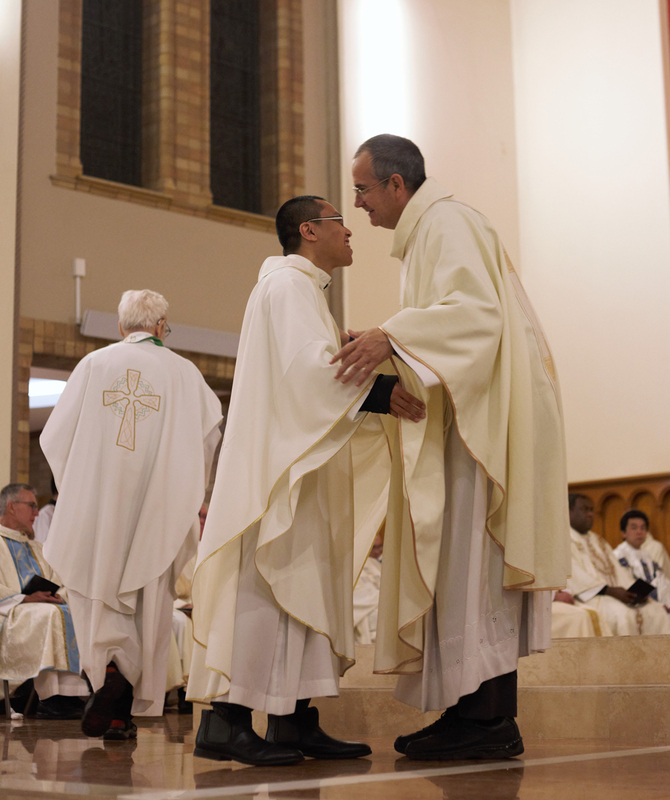 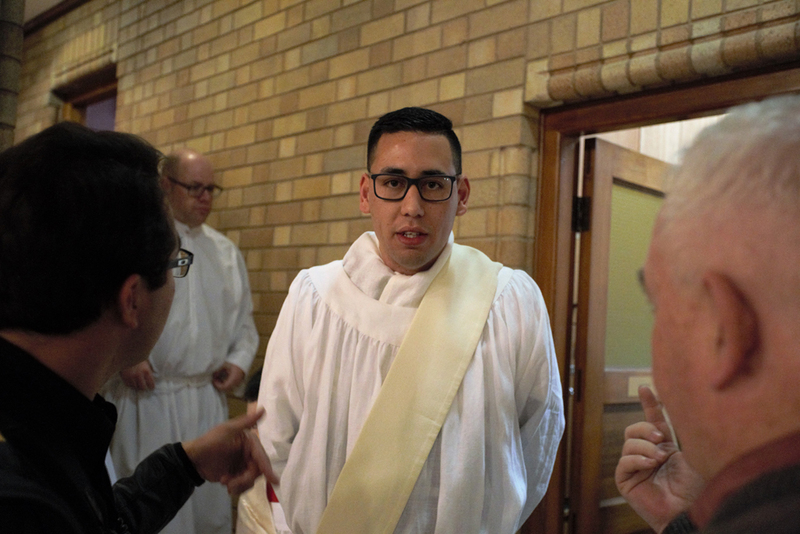 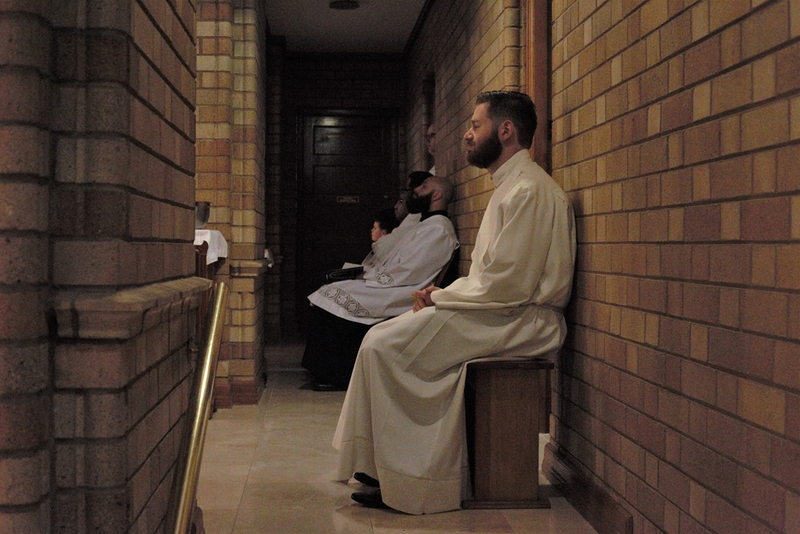 Fr Adrian said his first week as a priest had already been a fantastic experience. 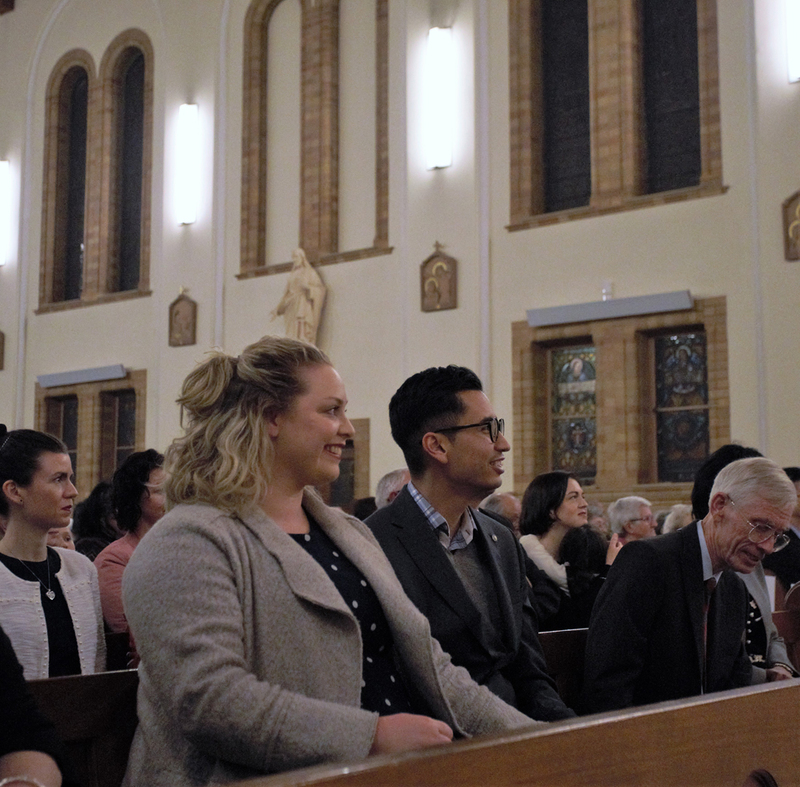 “I presided at all the masses on the weekend in Kambah, and met many more new people after mass,” he said. 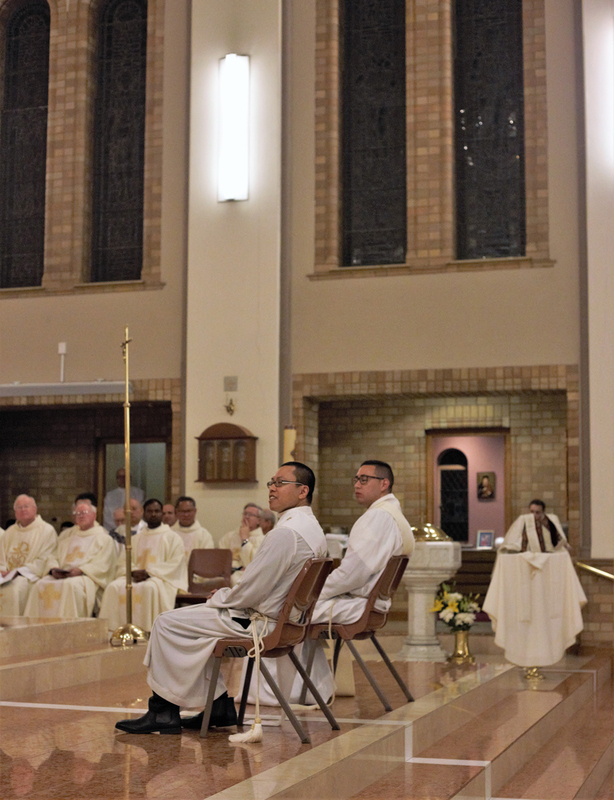 In January 2019 both Fr Adrian and Fr Namora will be joining the Archbishop as they accompany young people of the parish to World Youth Day in Panama.